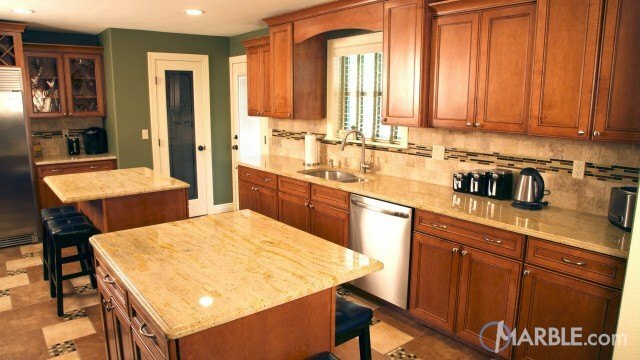 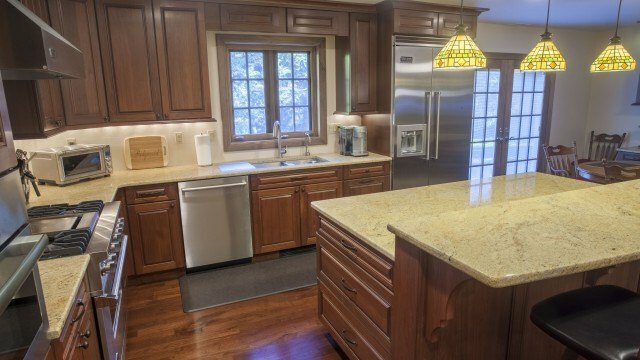 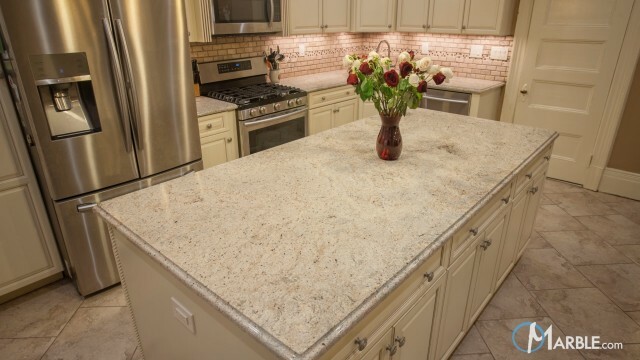 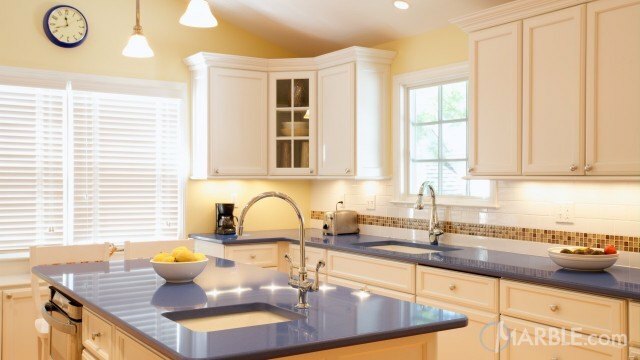 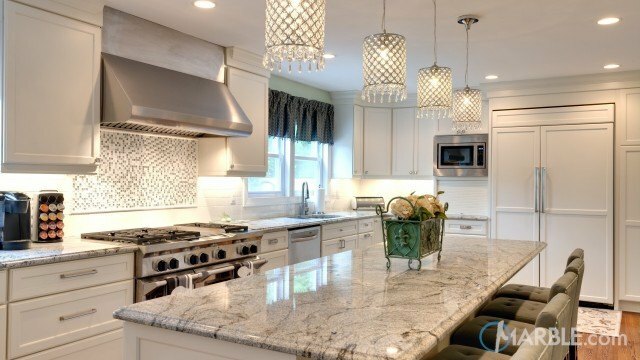 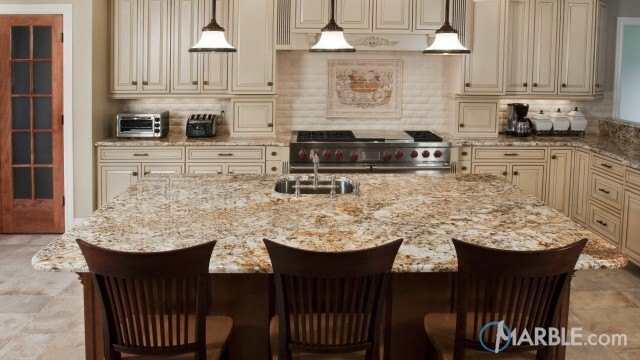 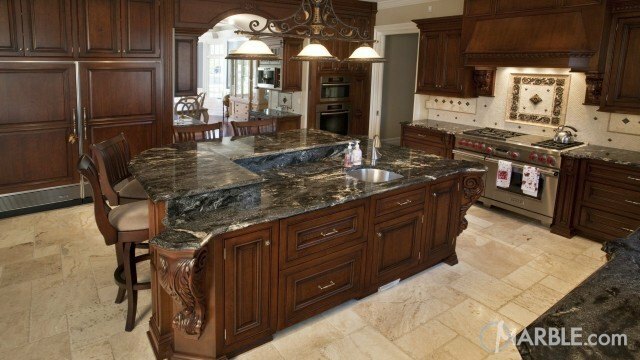 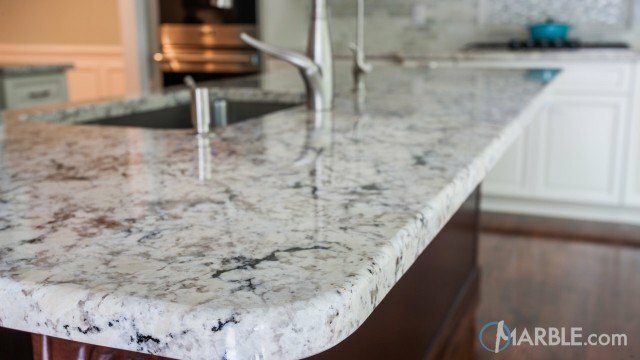 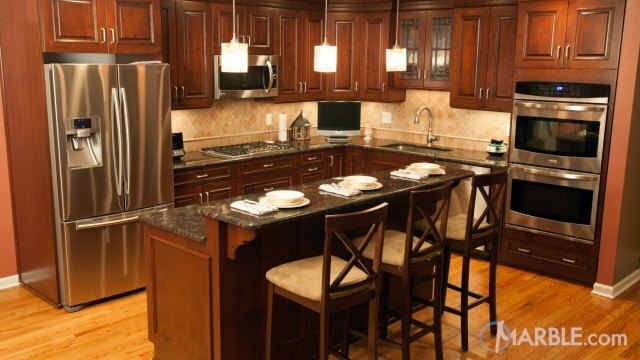 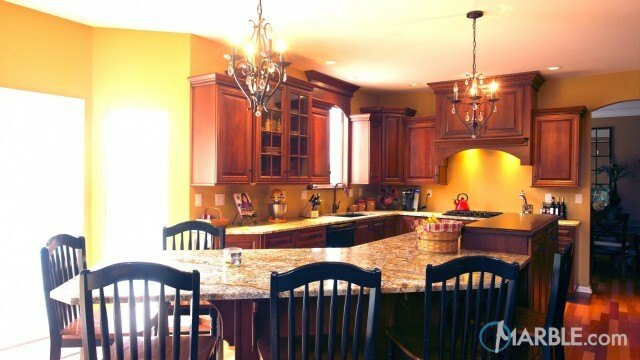 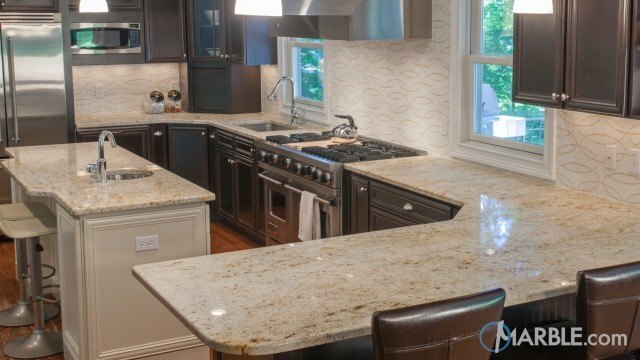 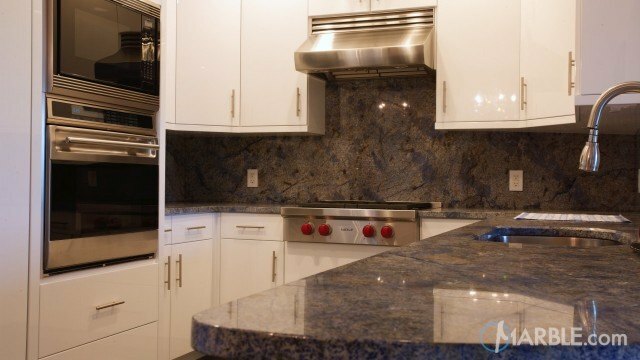 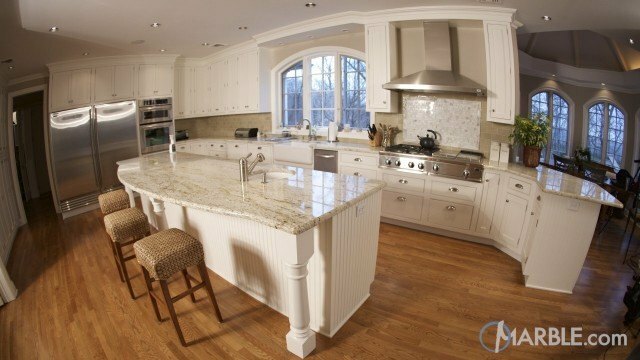 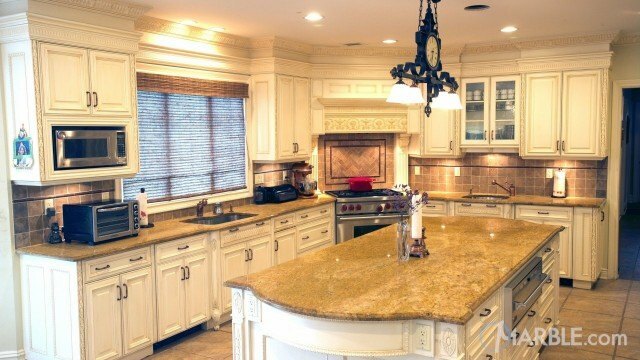 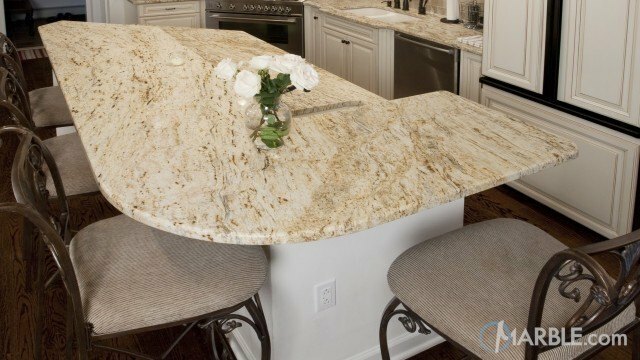 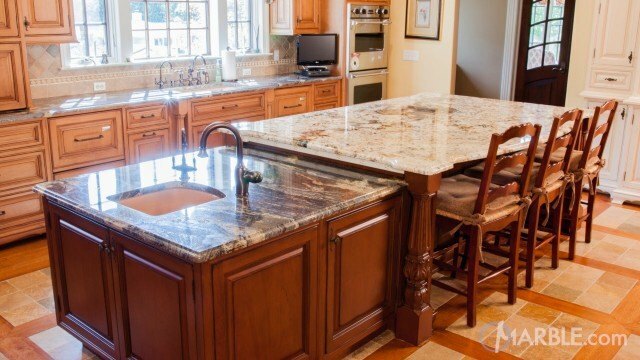 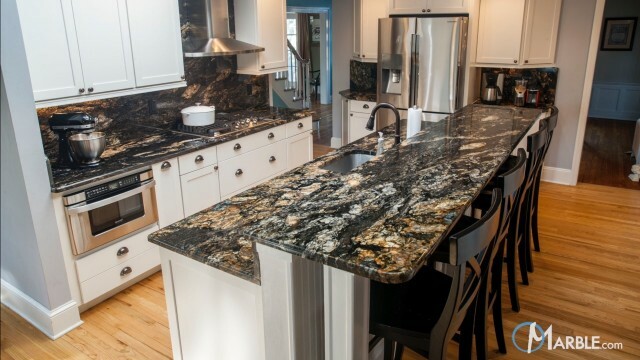 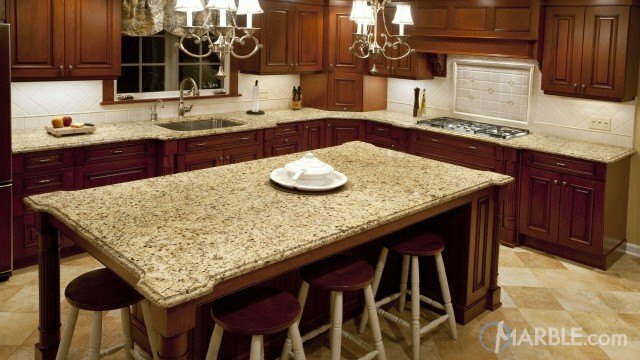 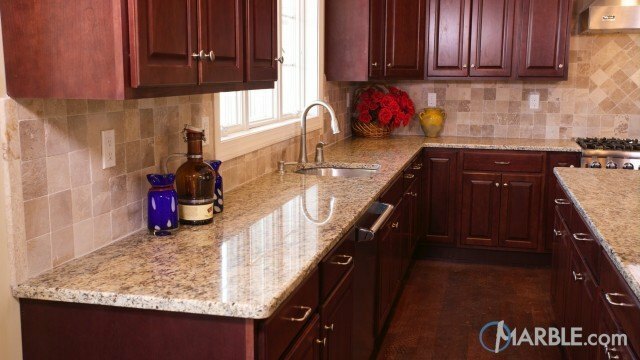 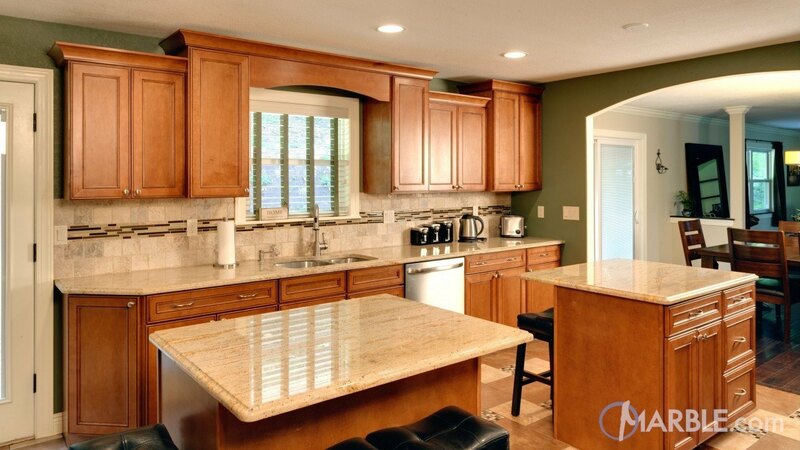 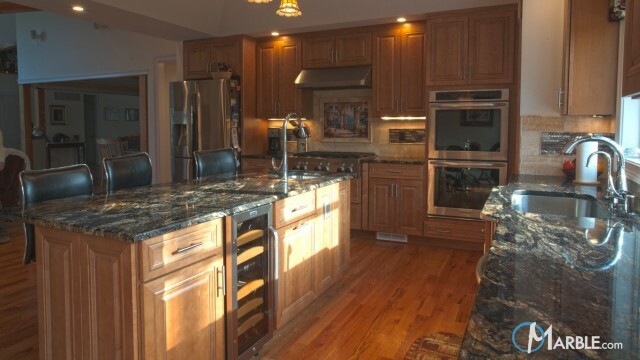 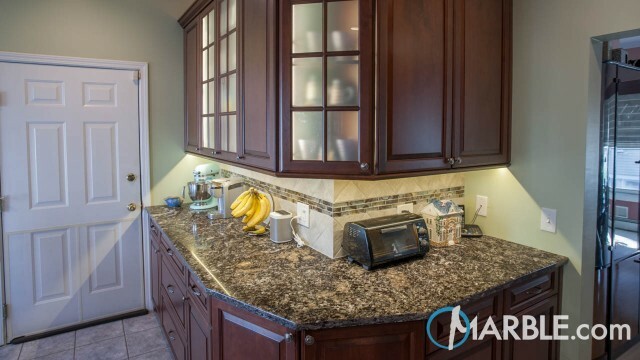 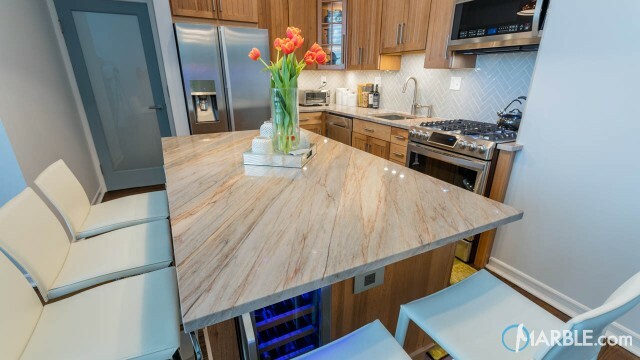 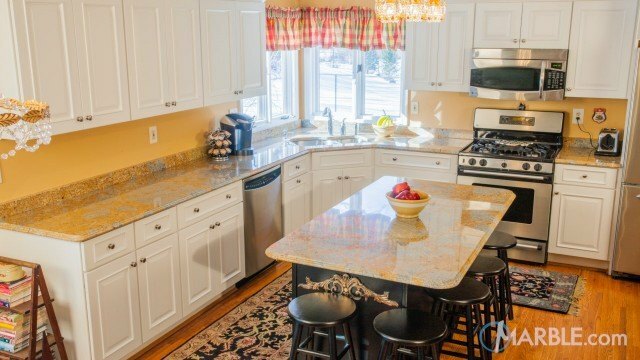 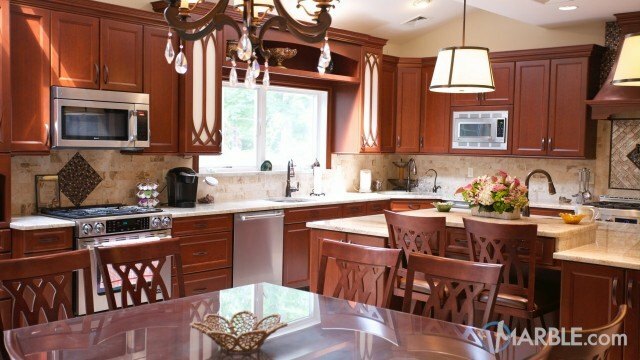 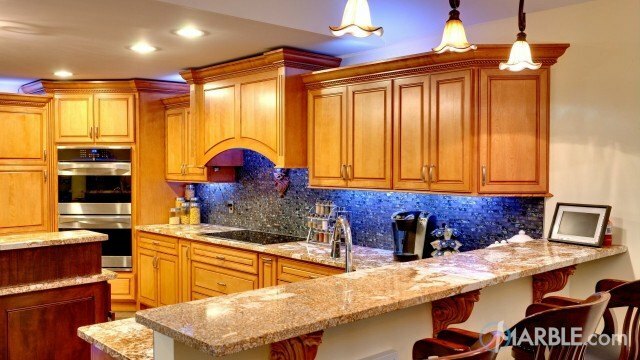 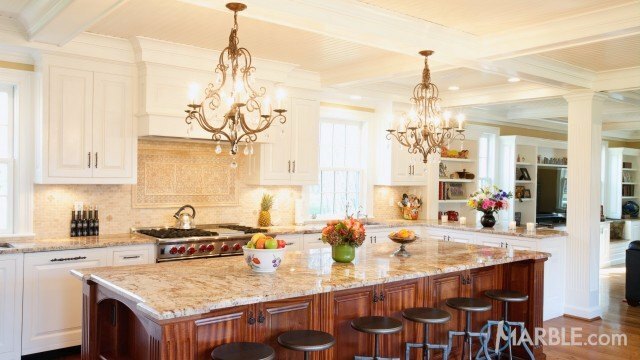 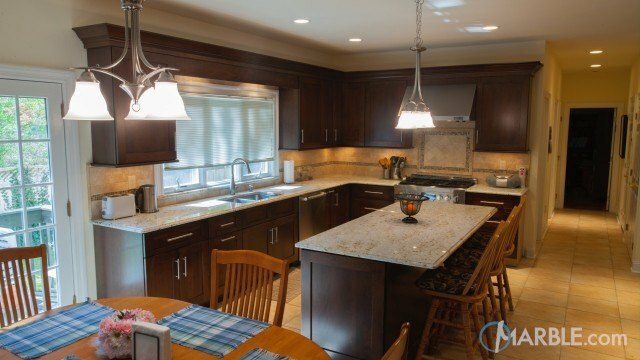 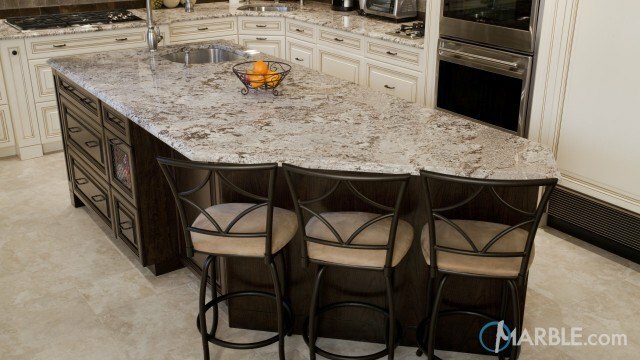 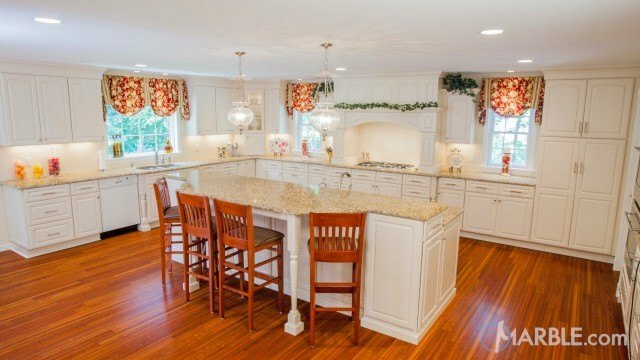 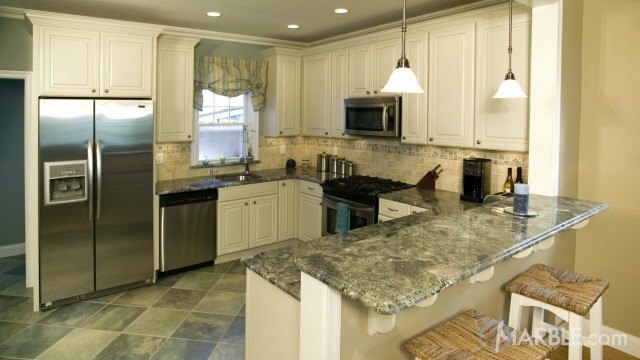 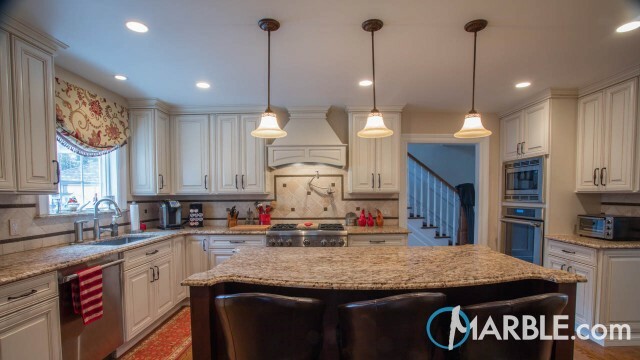 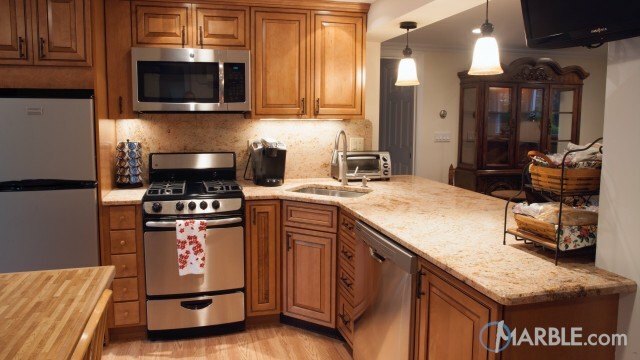 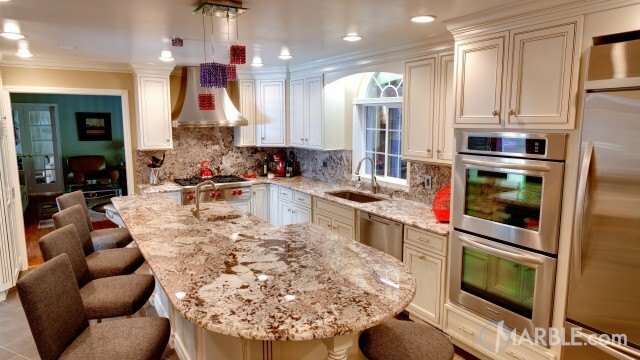 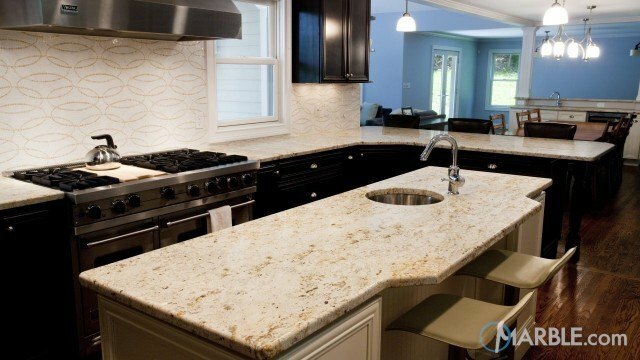 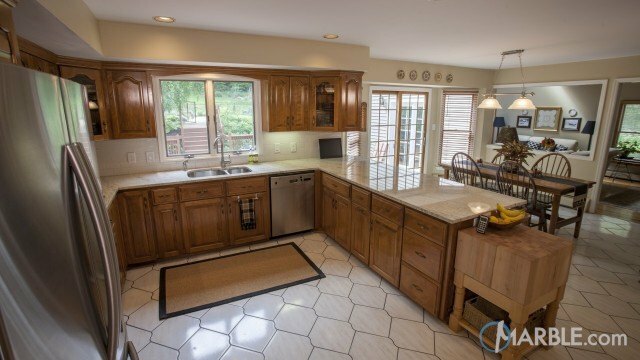 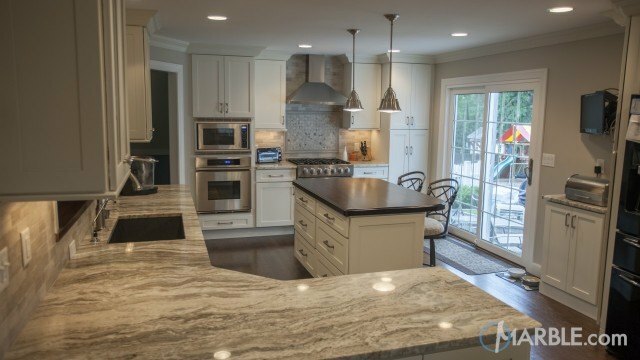 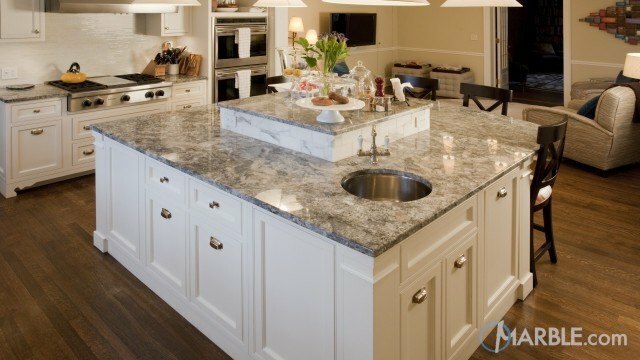 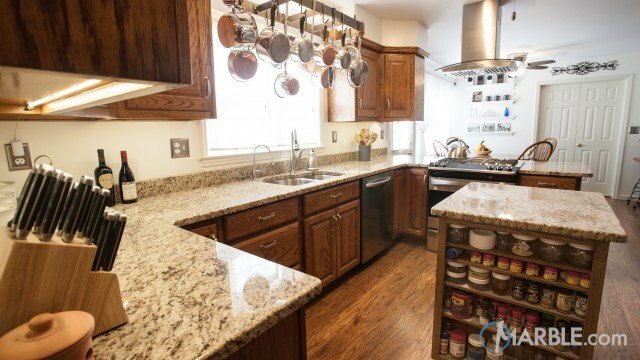 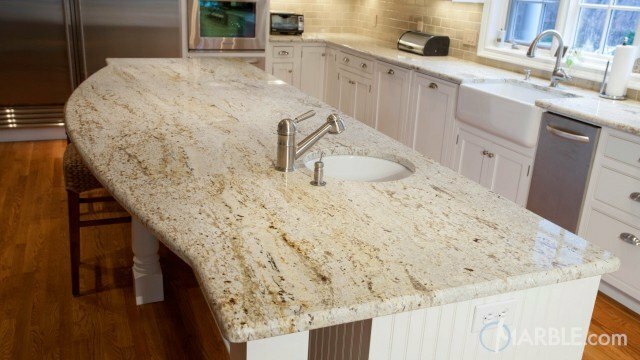 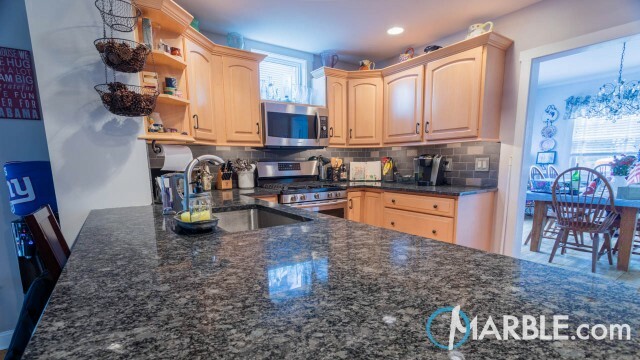 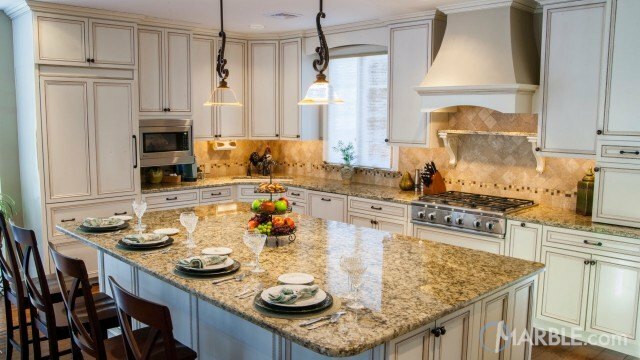 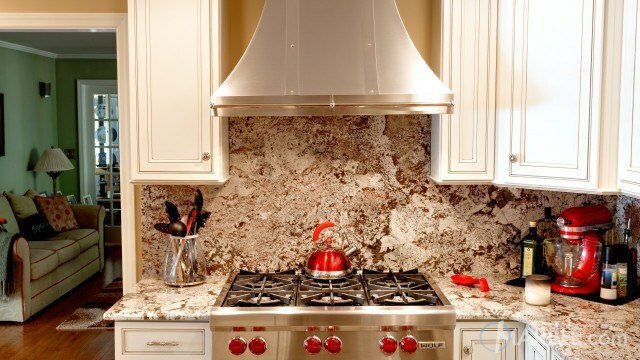 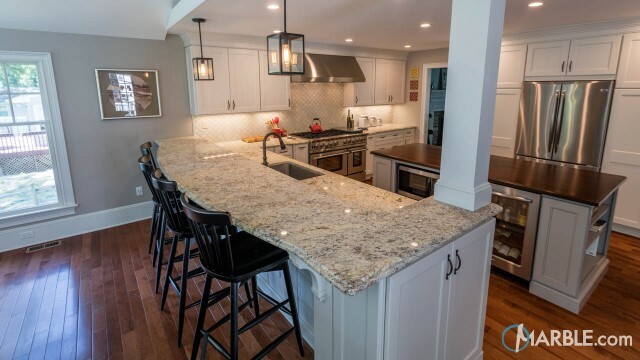 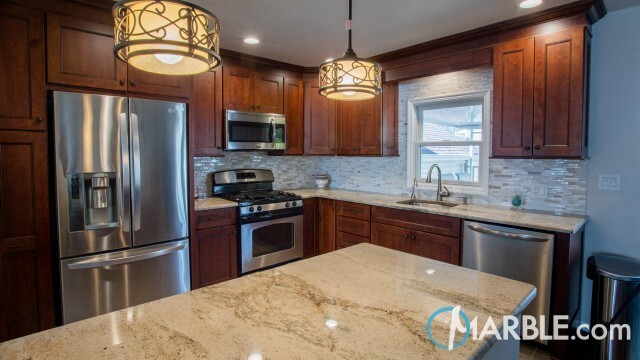 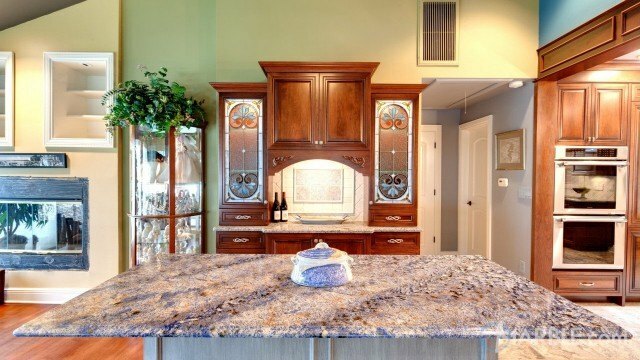 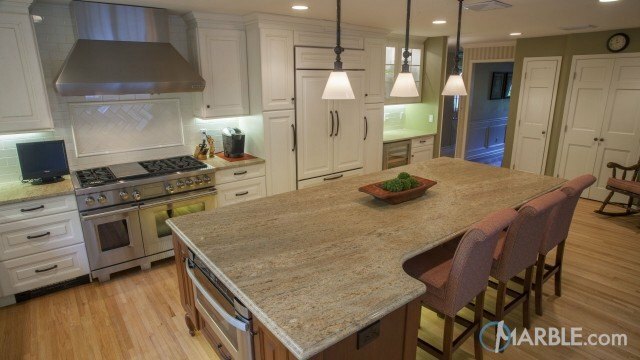 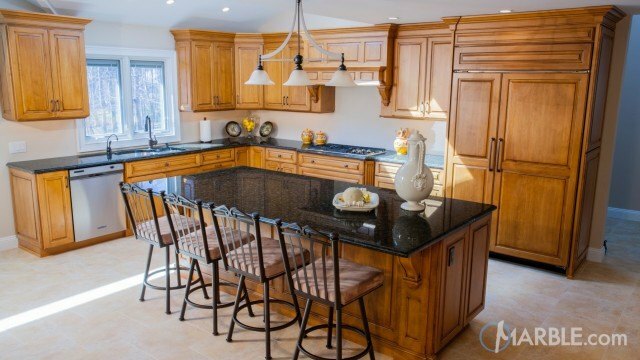 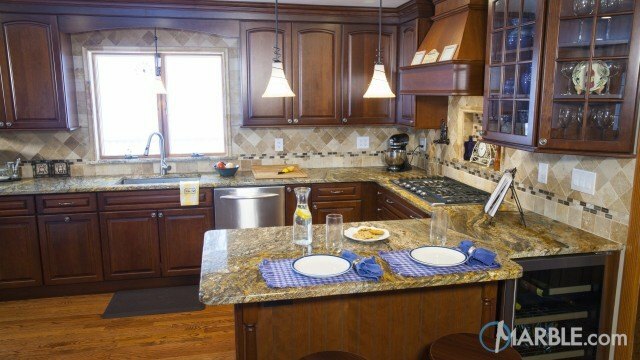 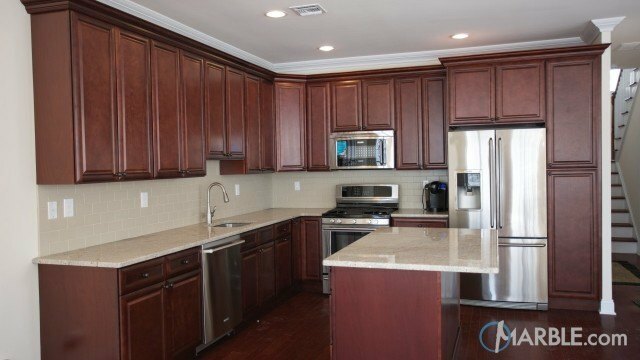 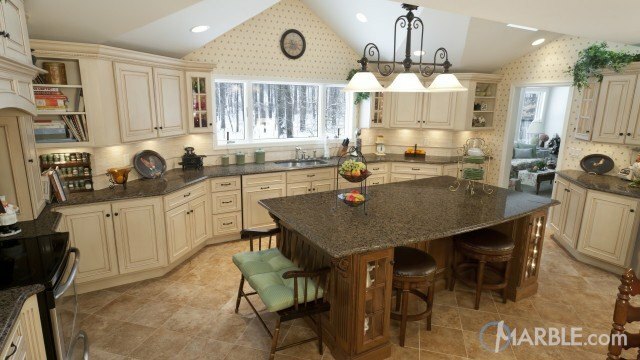 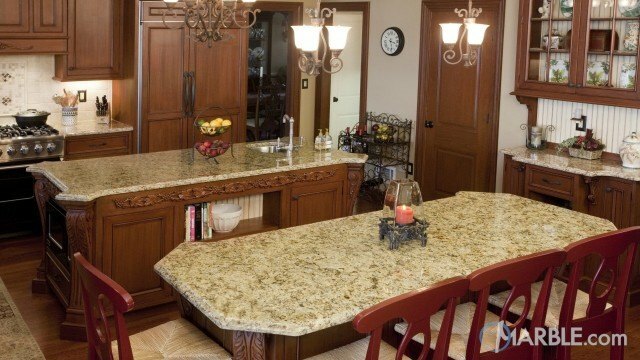 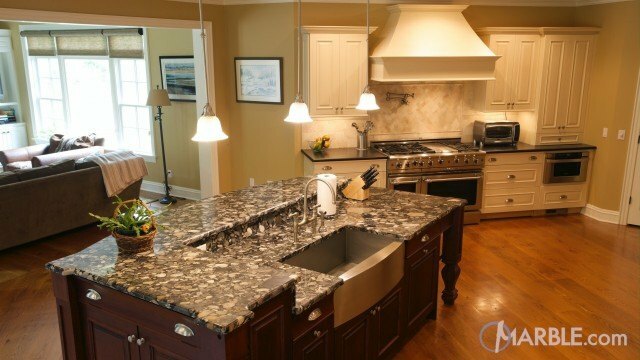 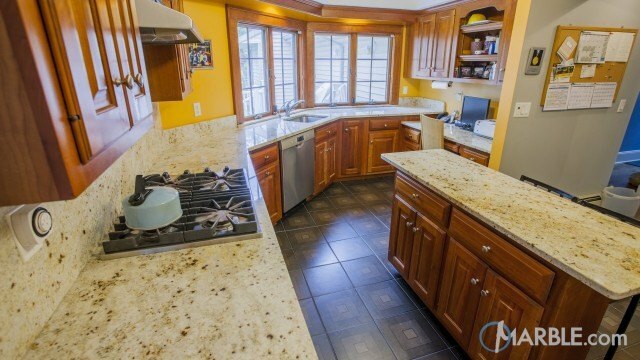 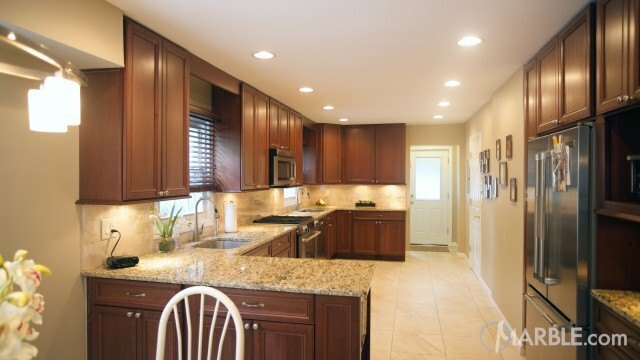 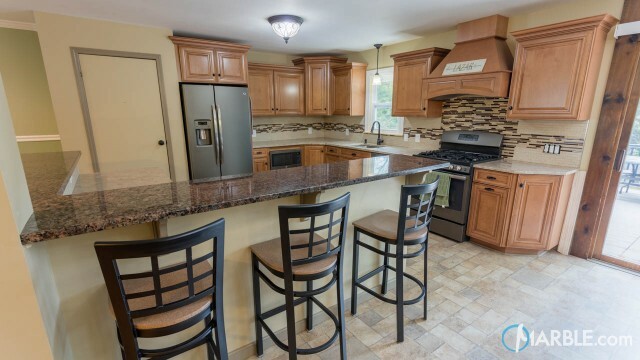 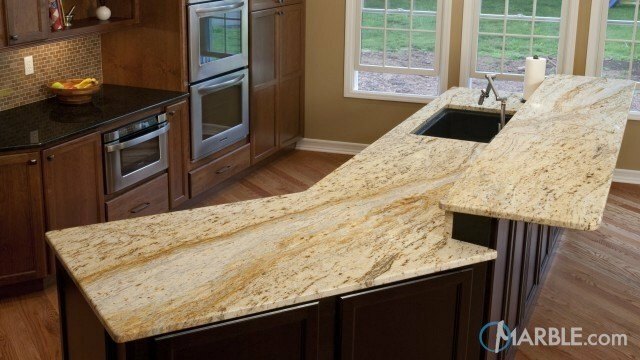 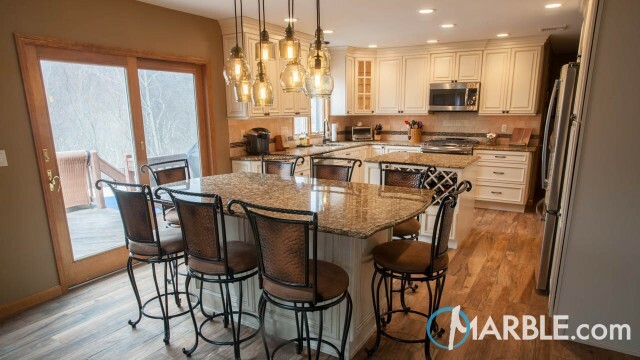 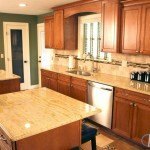 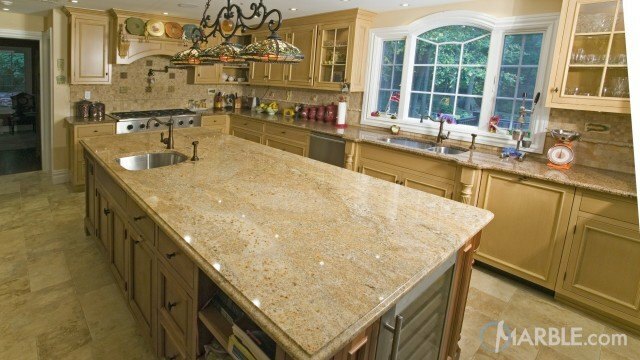 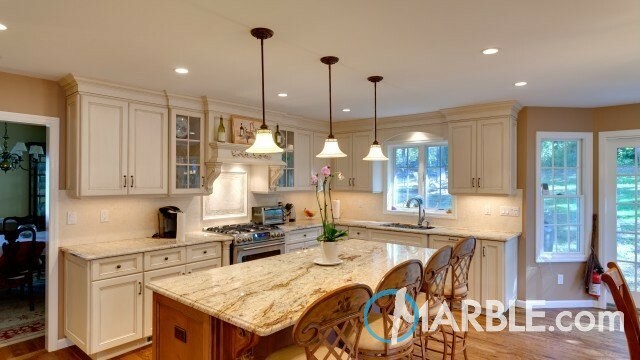 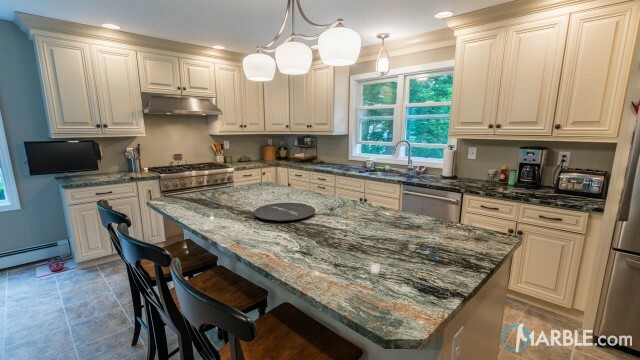 Ivory Gold granite counter tops meld this kitchen of lighter wood cabinets and lively floor together. 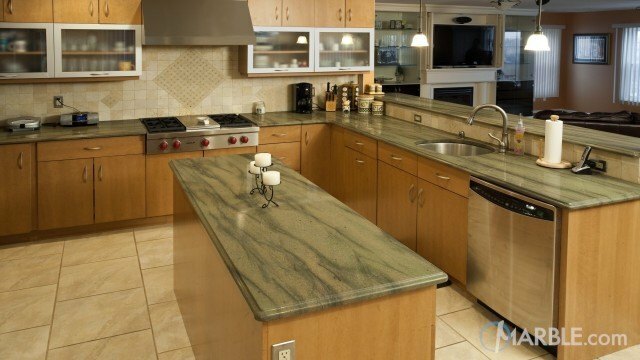 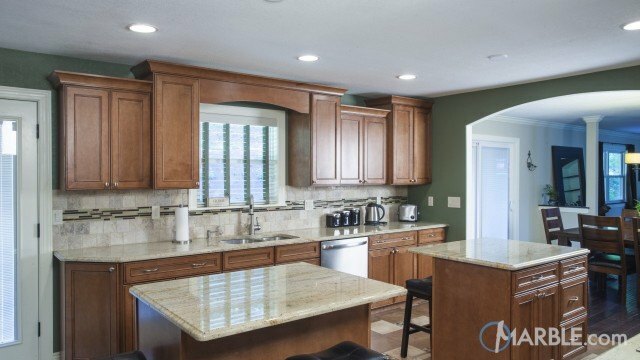 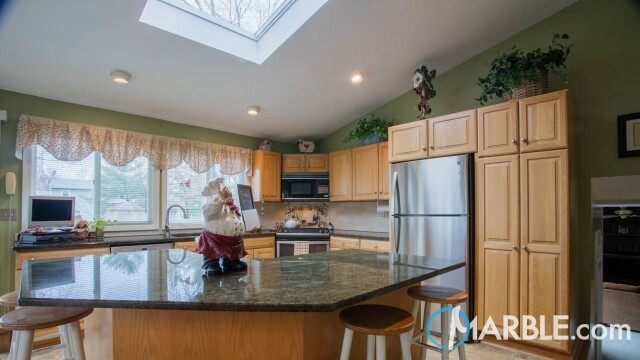 The counter tops anchor the entire kitchen and complement the dark green walls. 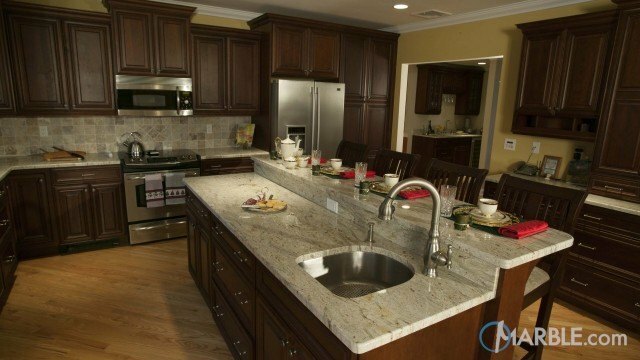 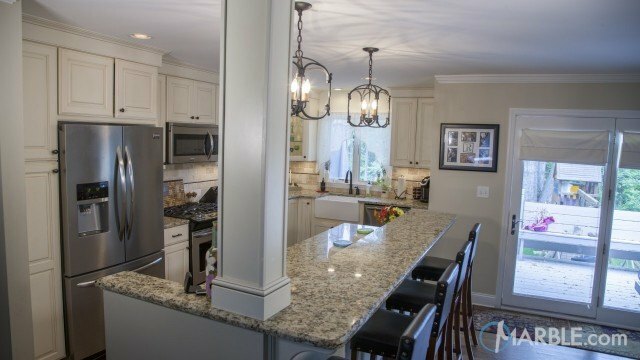 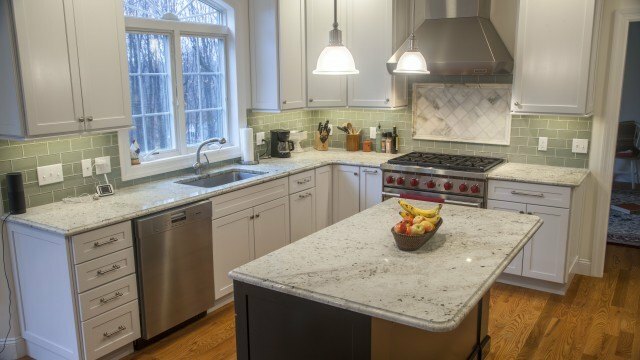 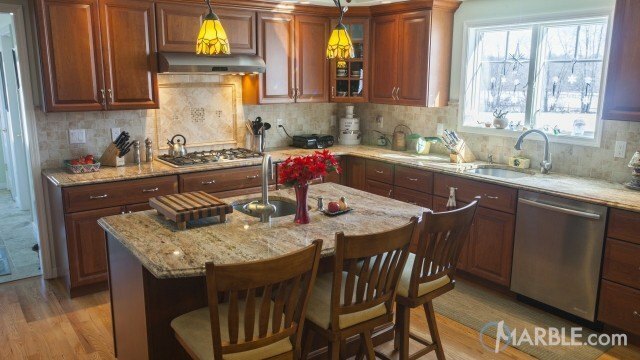 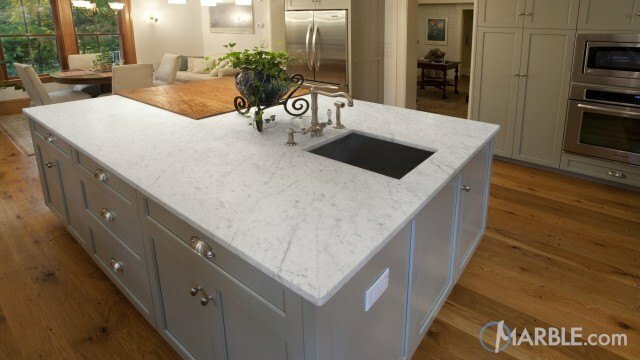 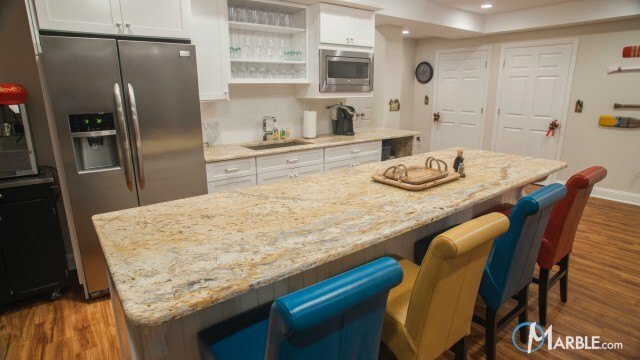 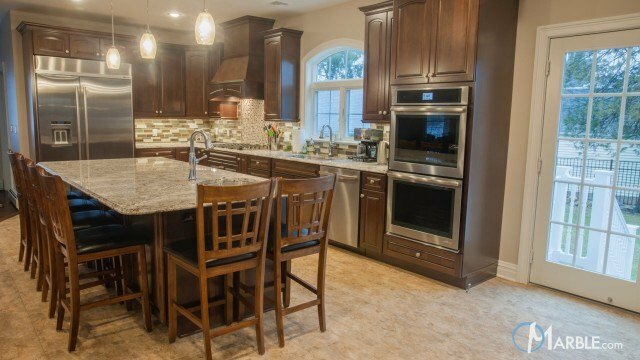 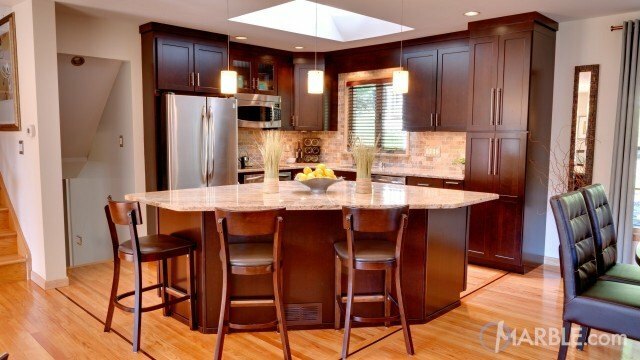 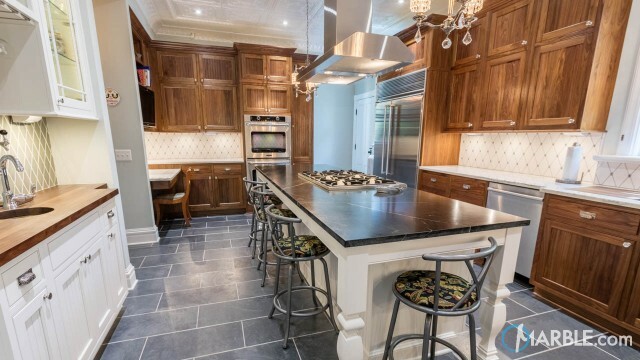 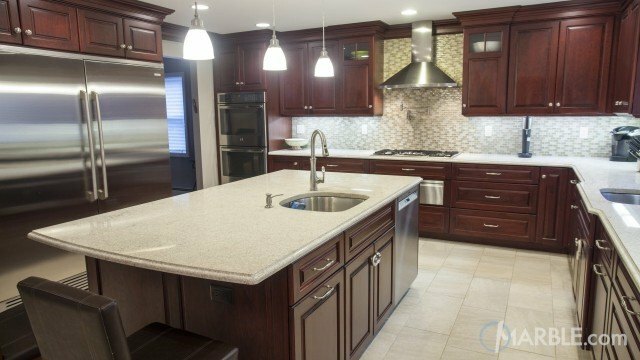 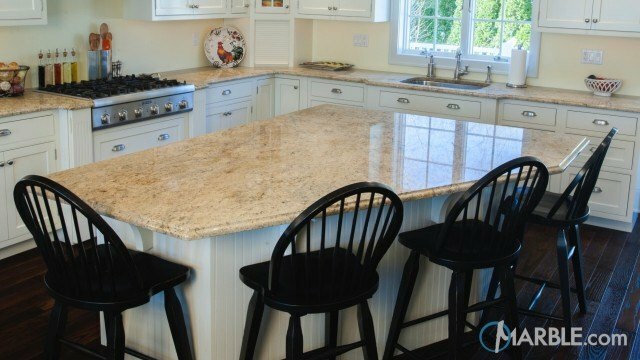 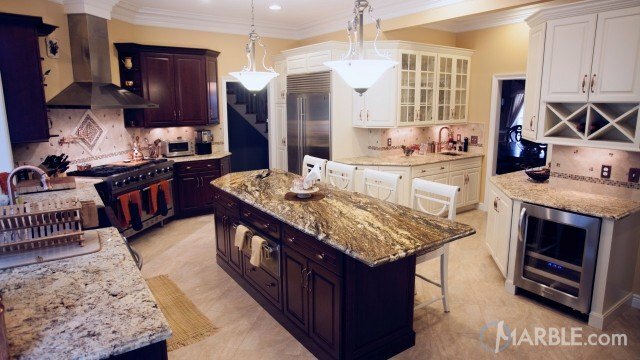 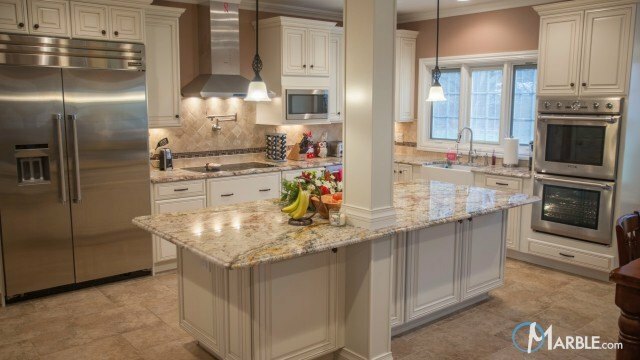 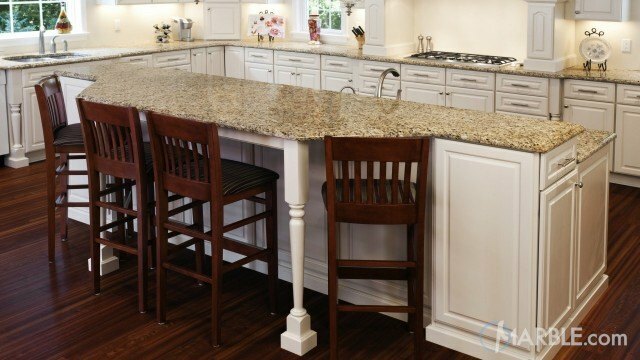 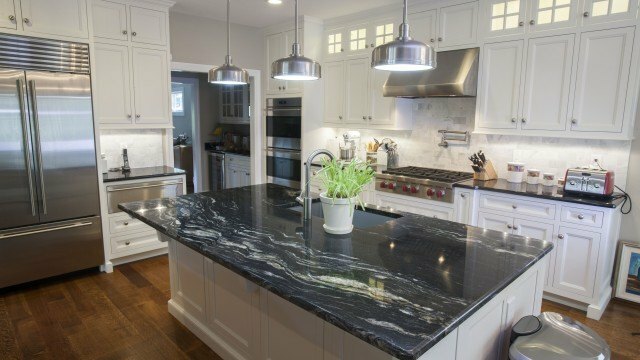 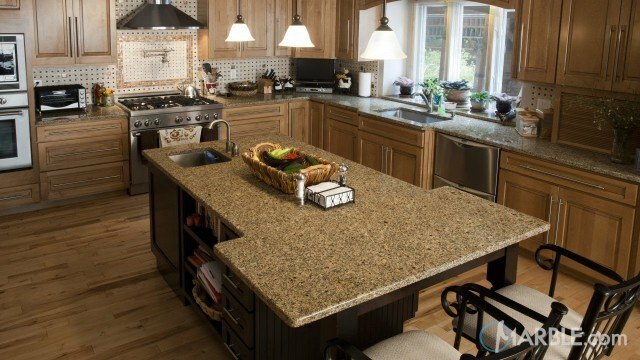 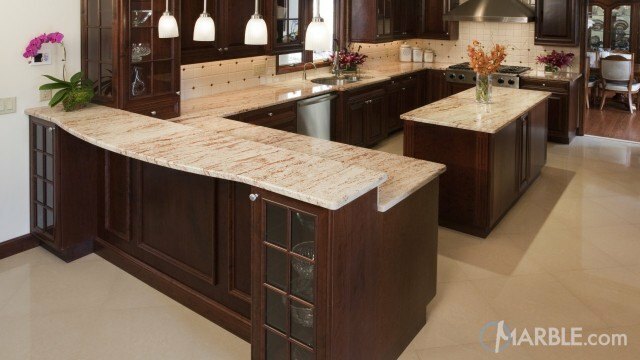 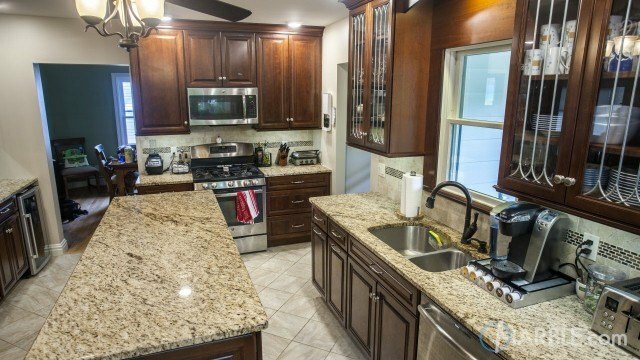 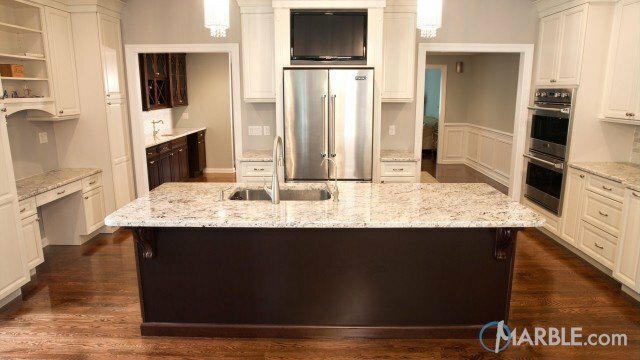 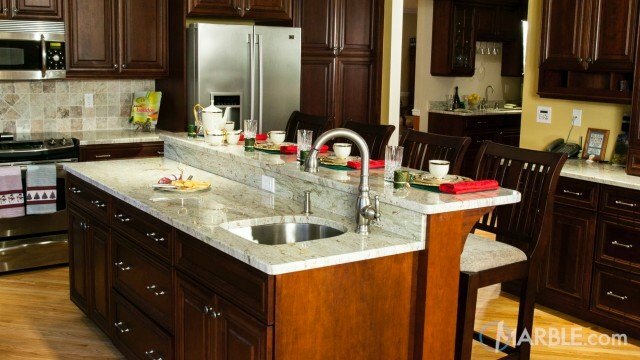 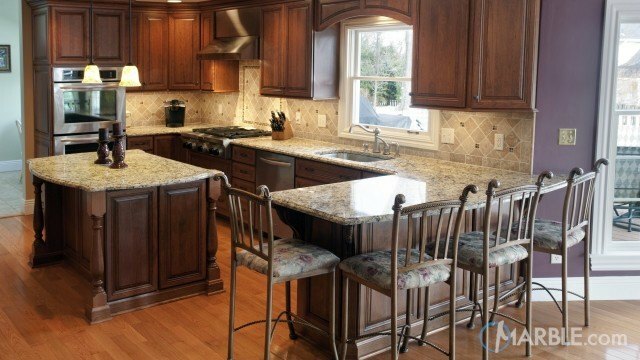 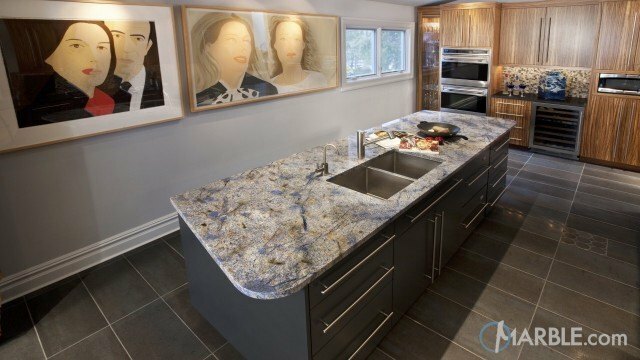 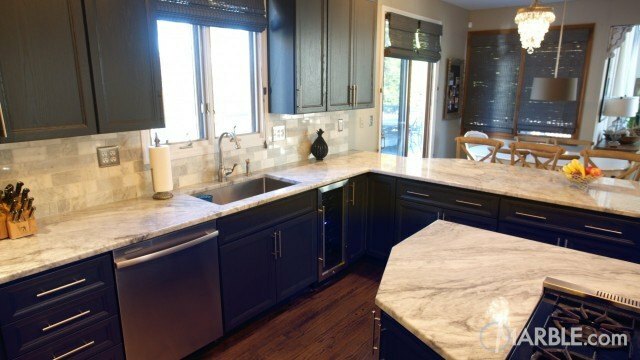 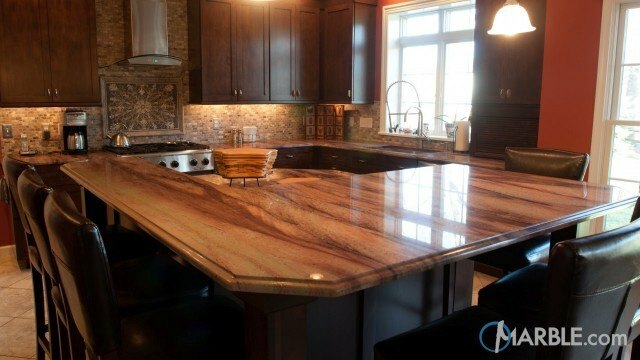 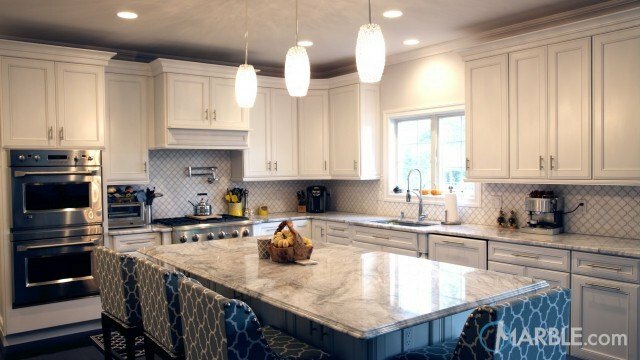 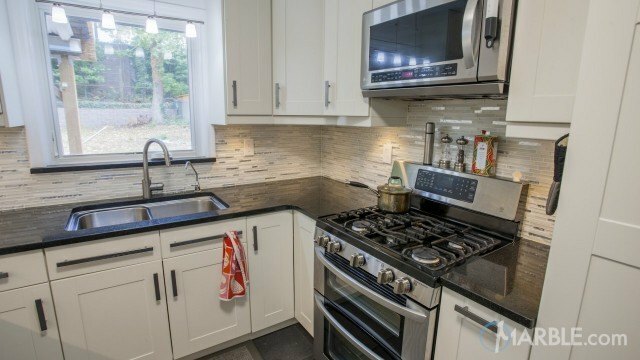 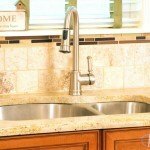 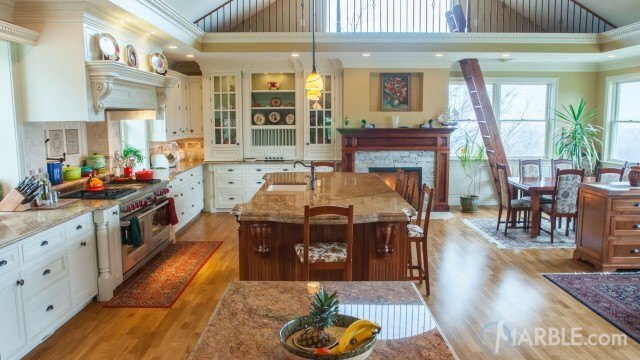 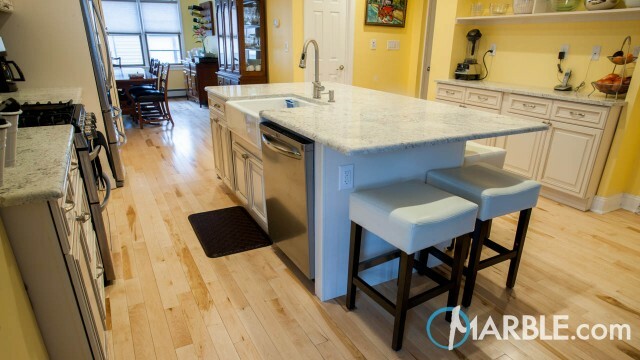 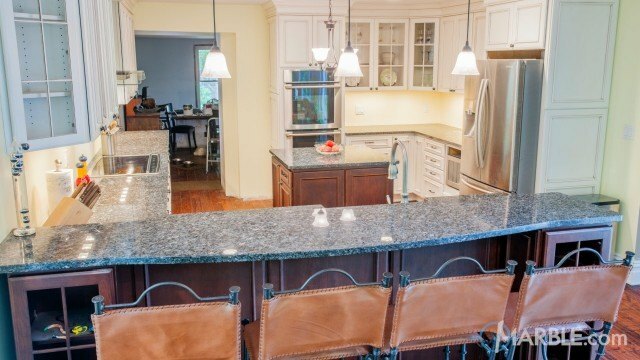 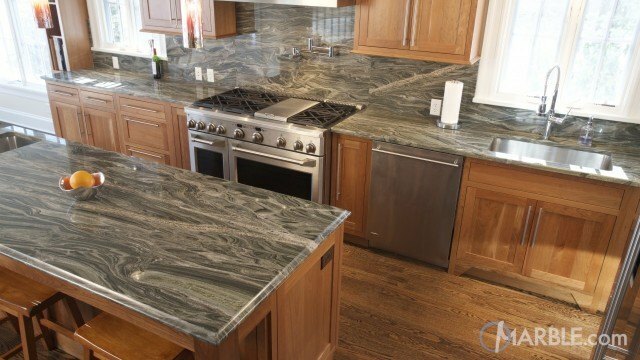 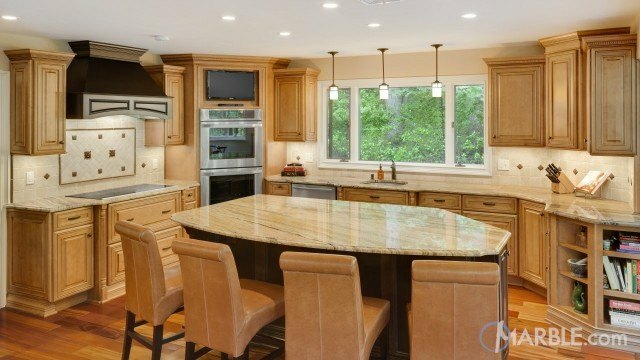 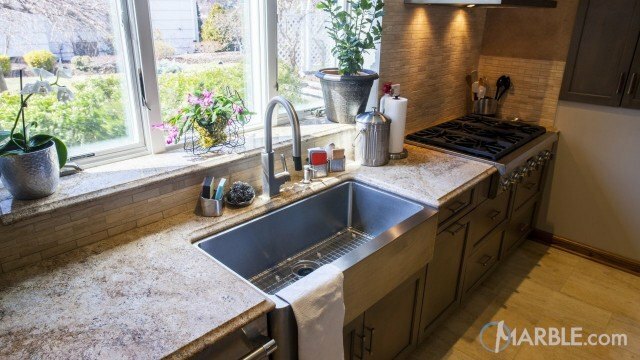 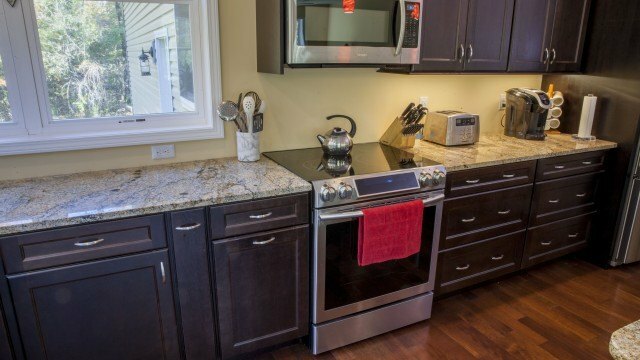 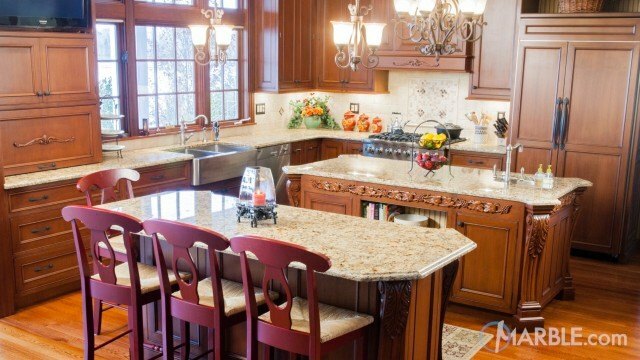 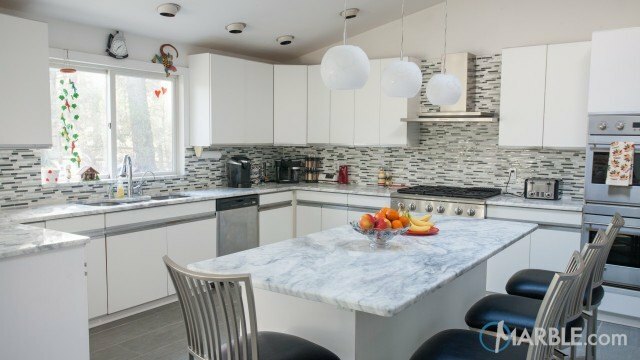 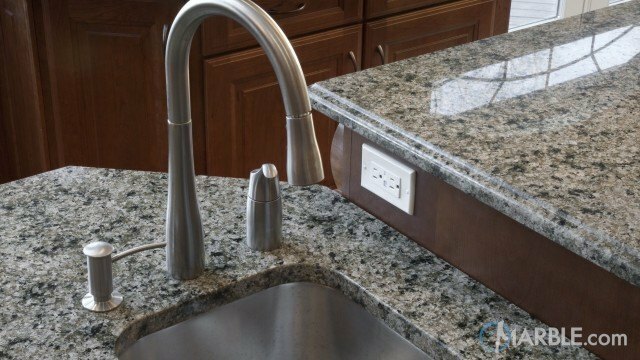 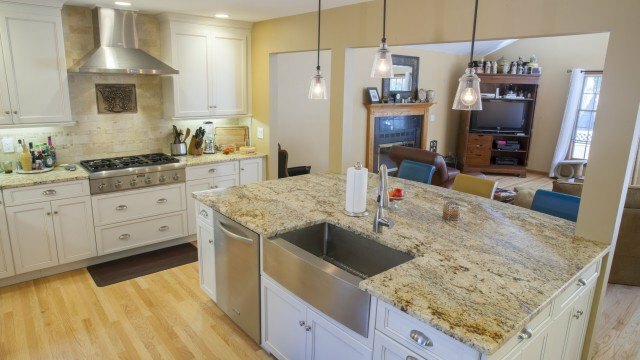 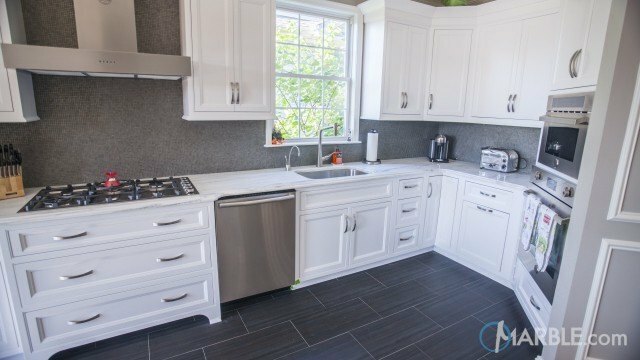 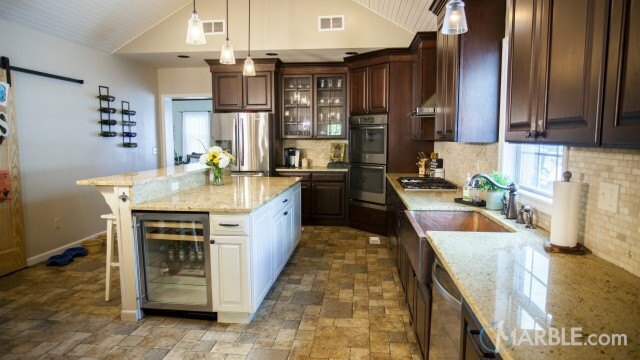 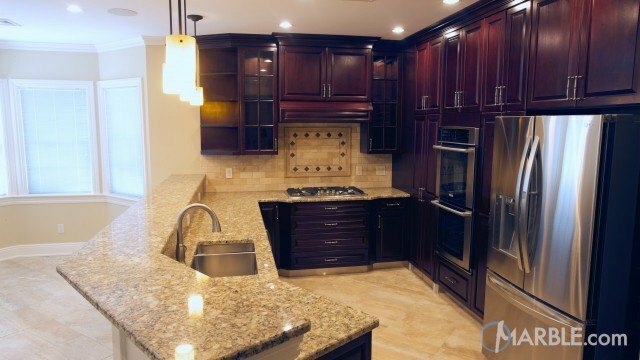 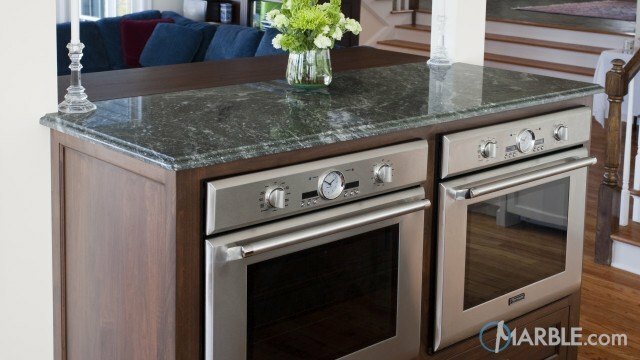 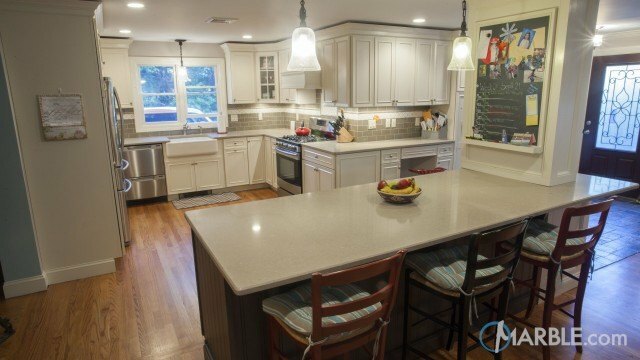 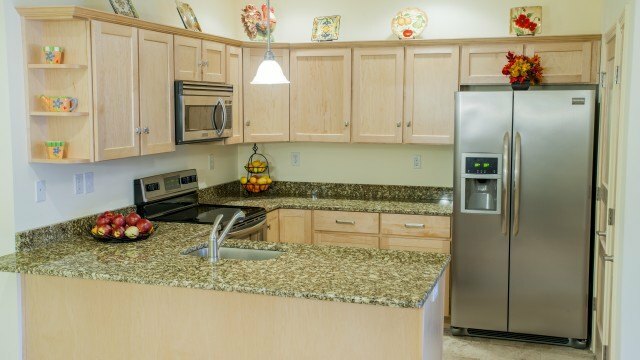 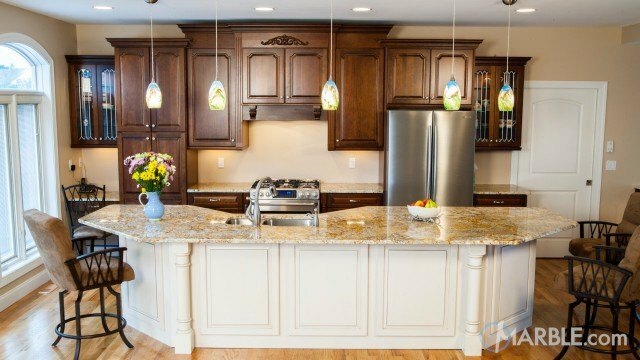 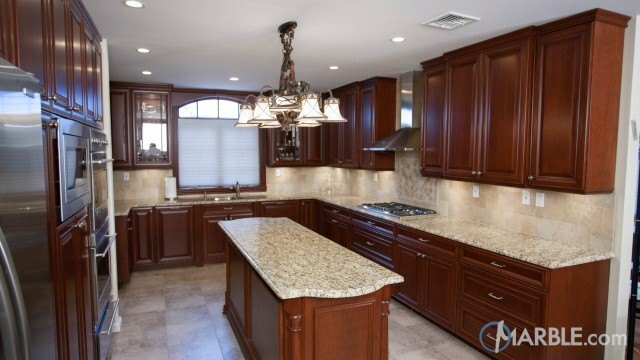 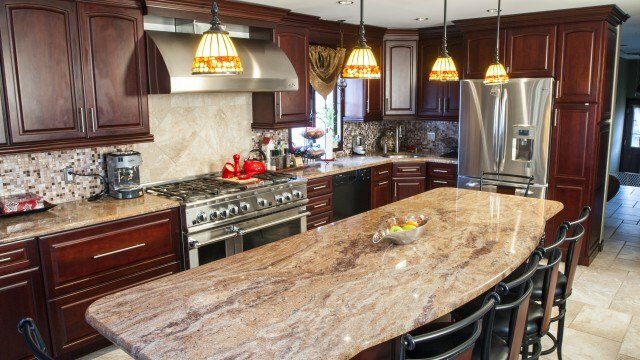 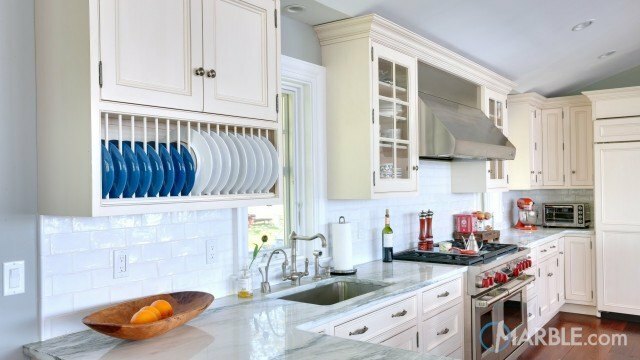 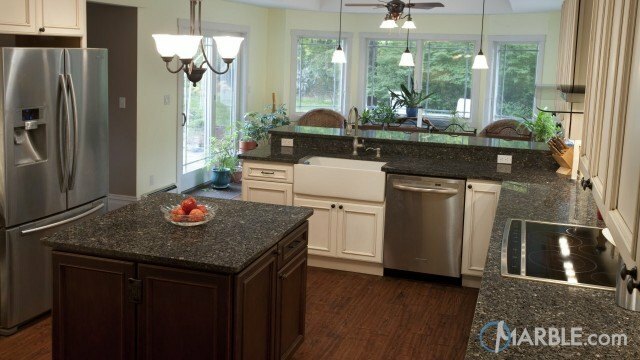 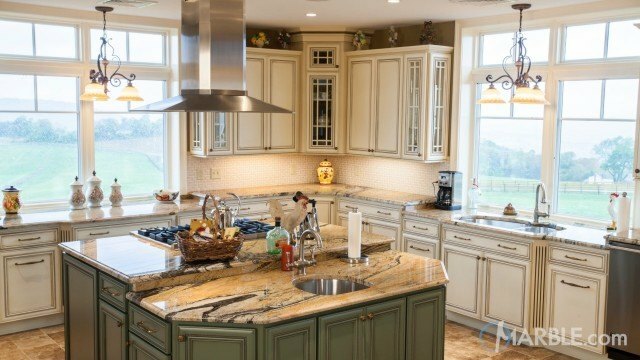 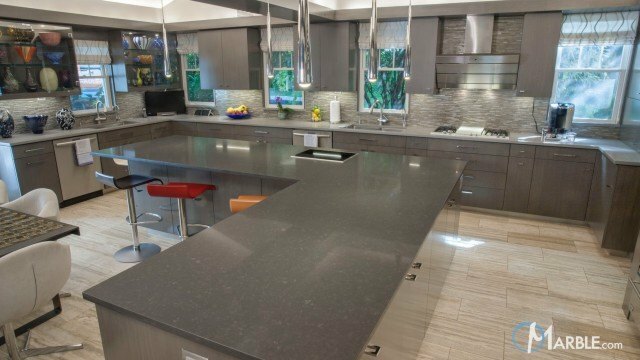 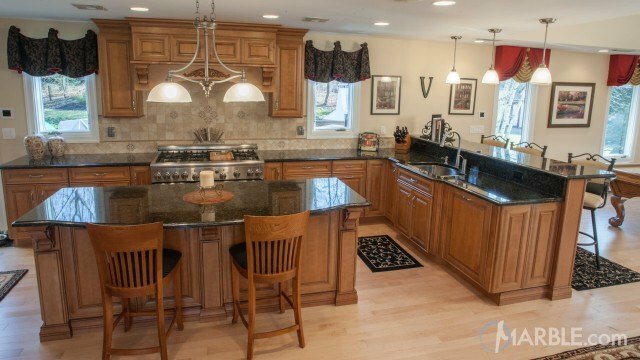 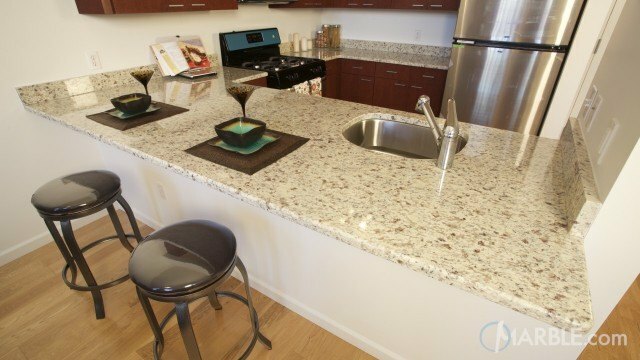 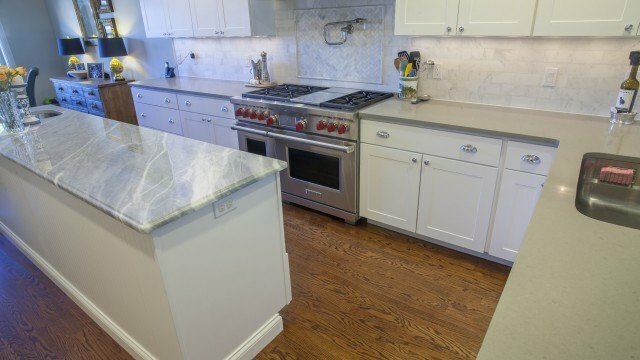 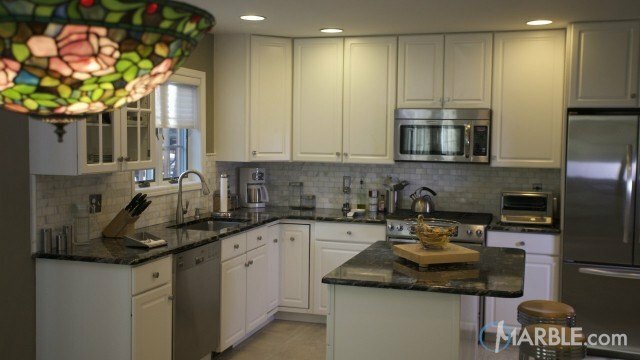 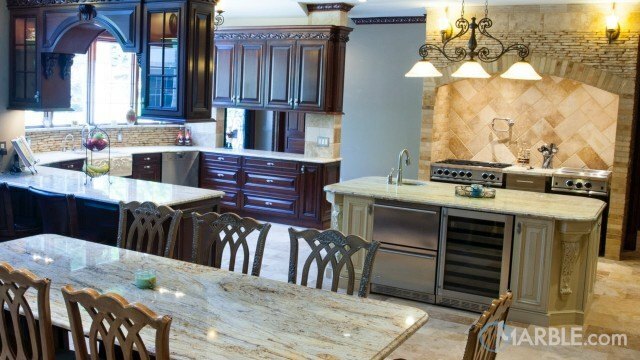 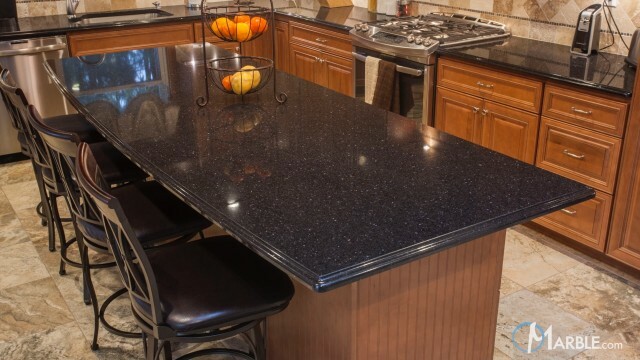 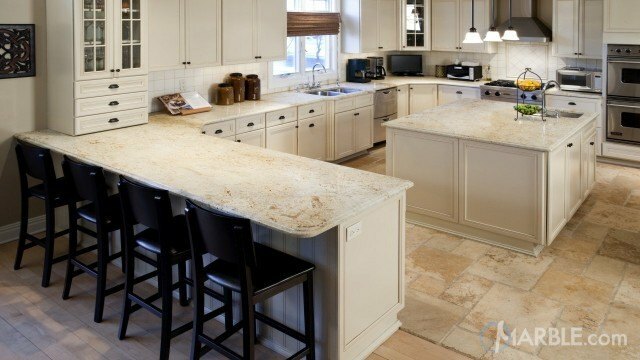 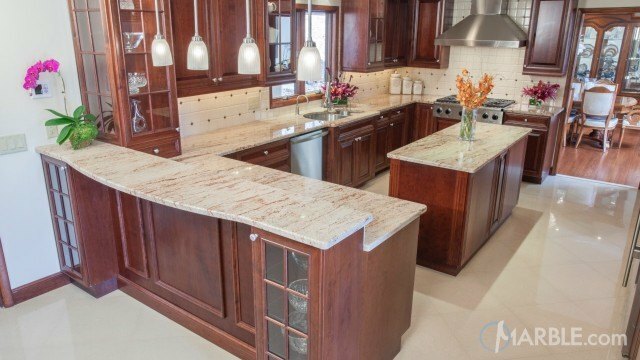 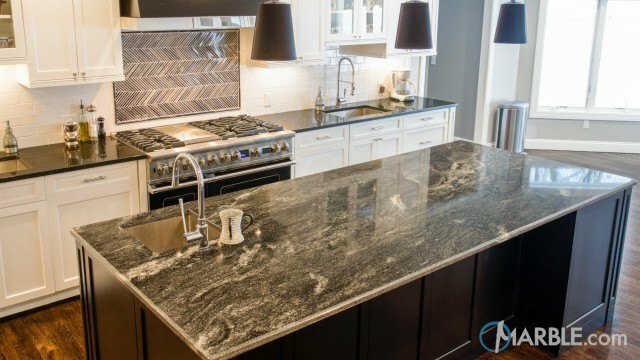 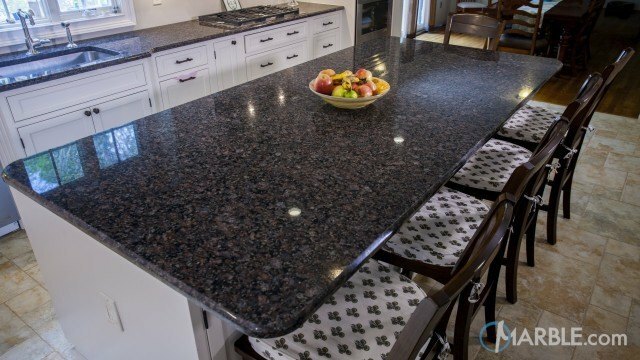 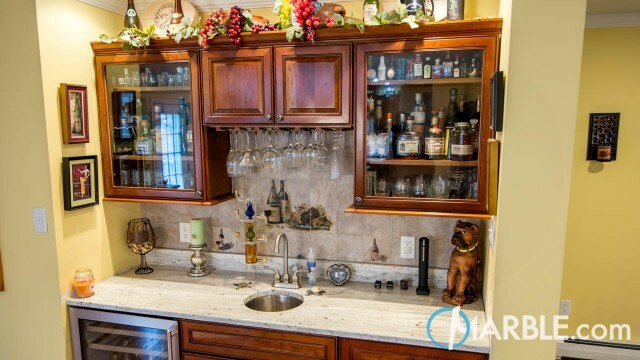 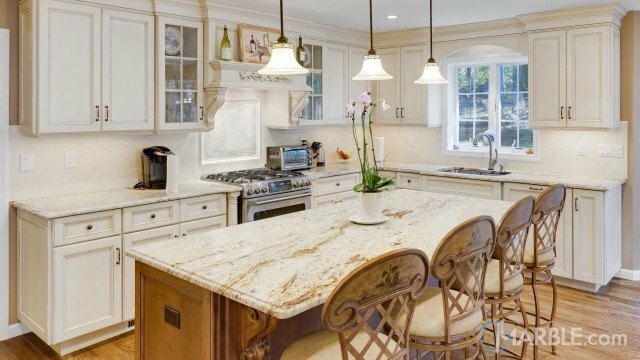 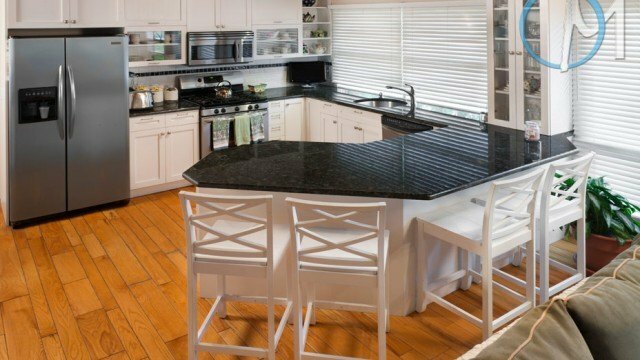 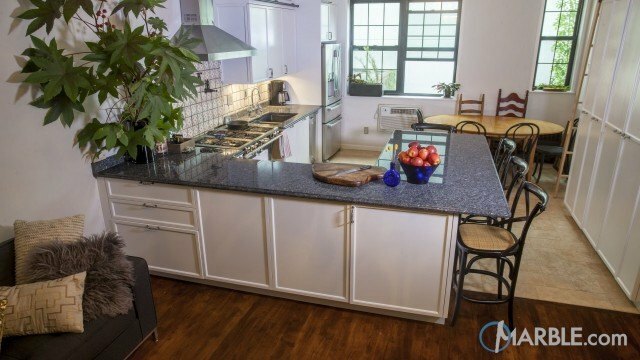 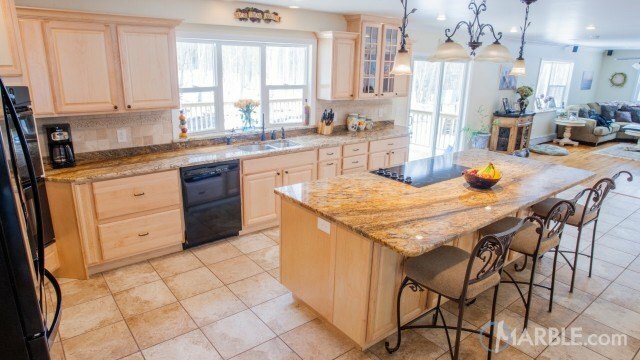 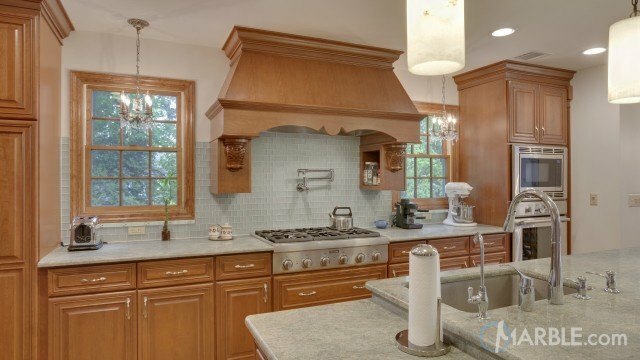 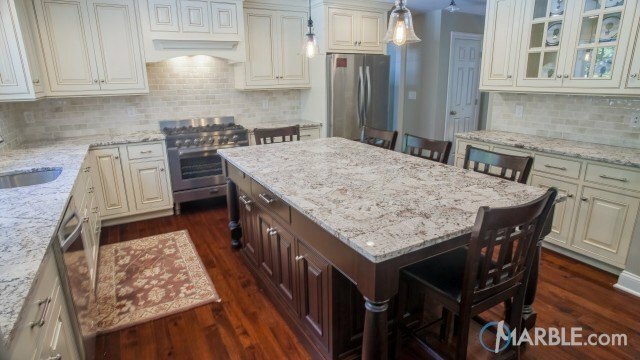 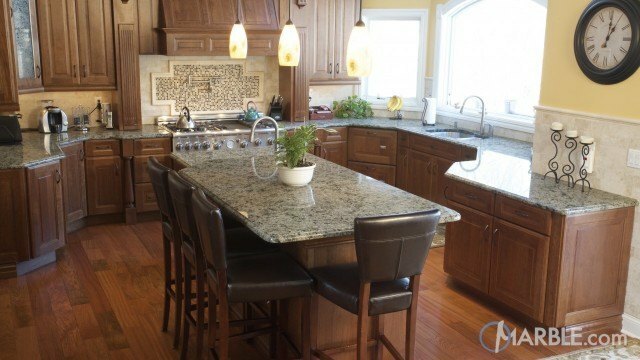 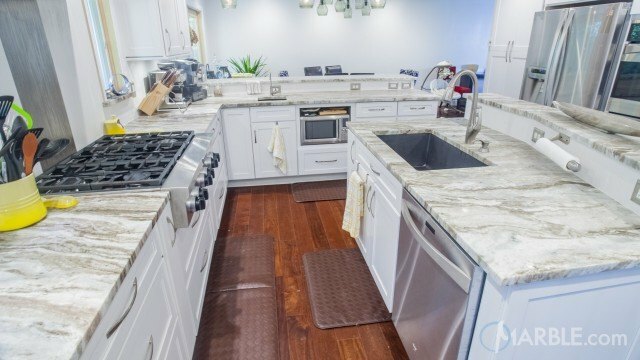 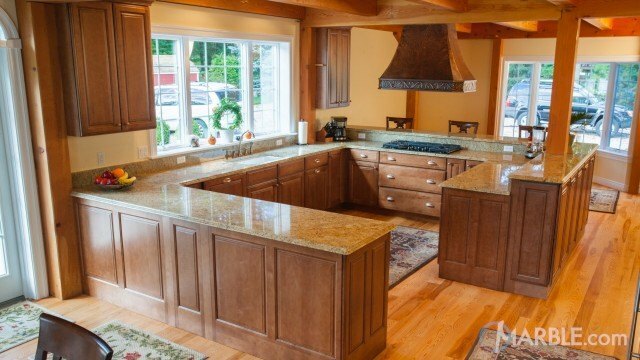 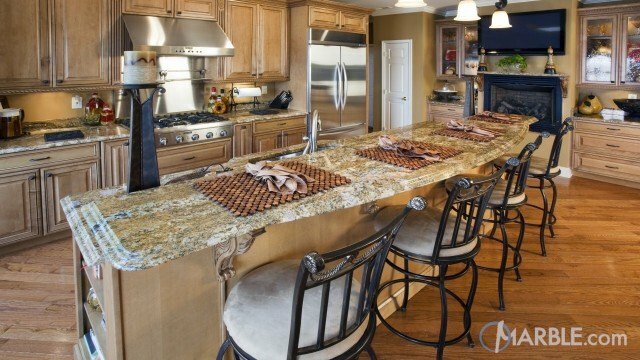 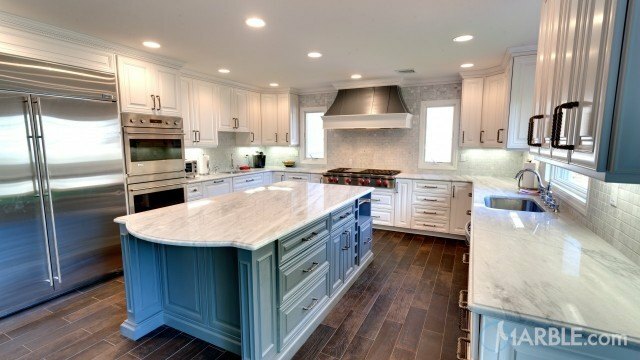 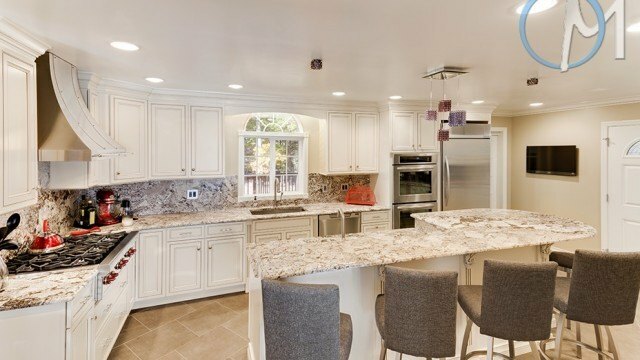 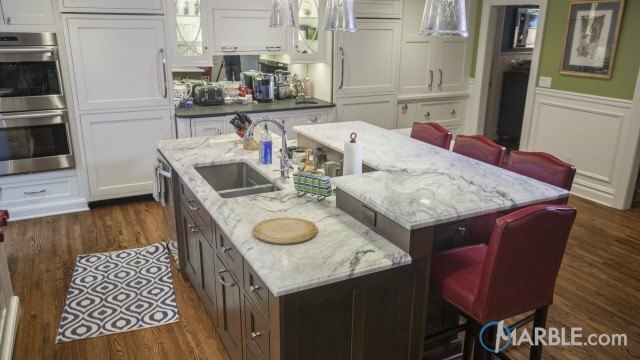 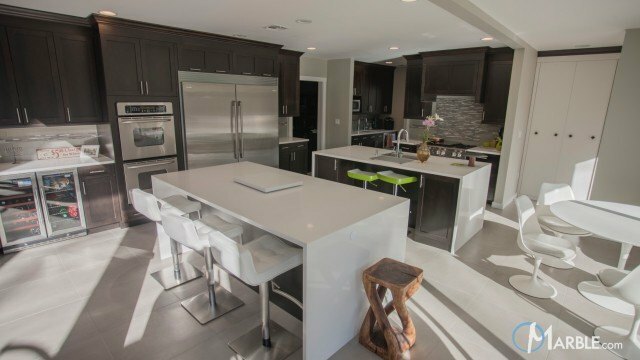 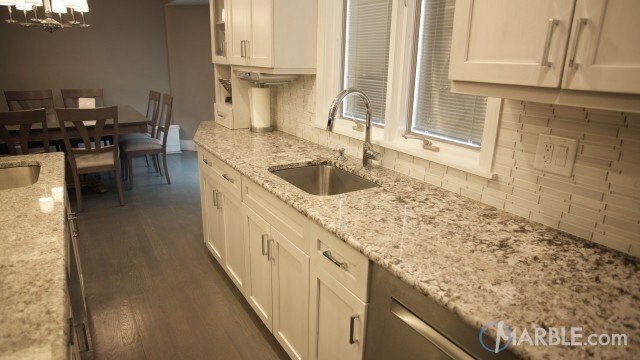 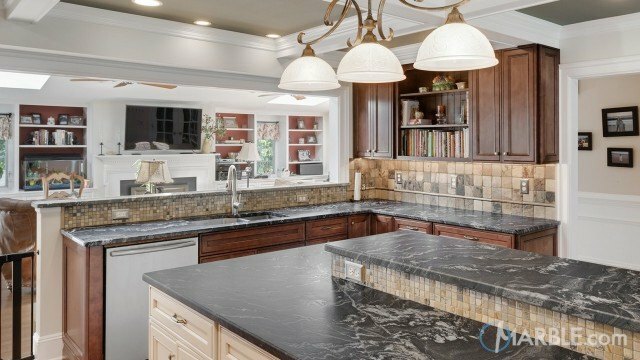 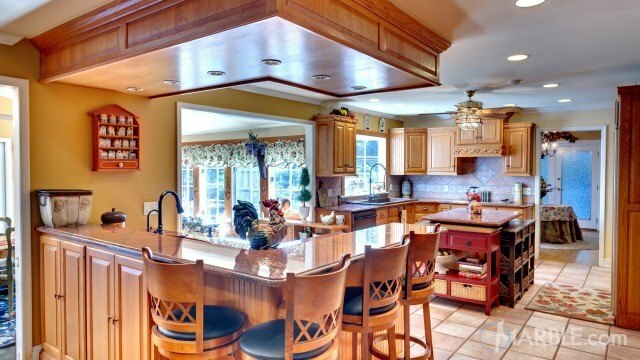 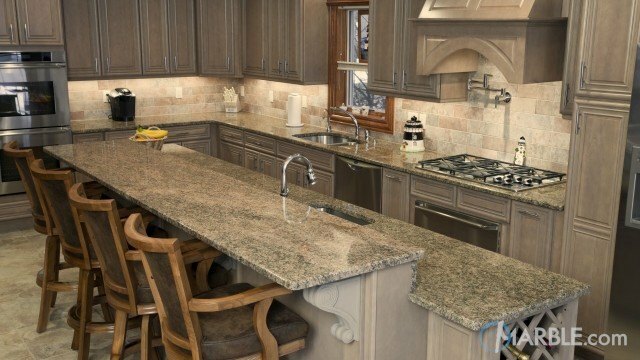 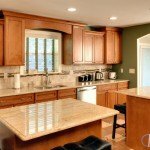 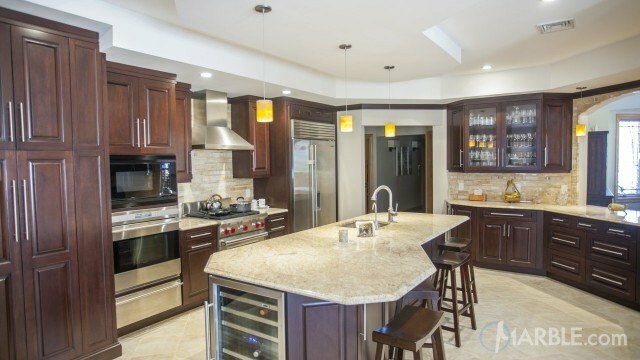 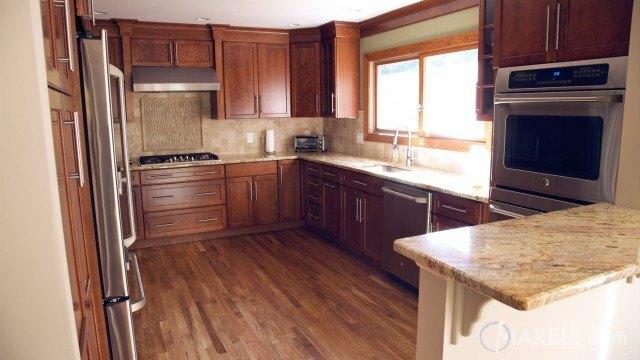 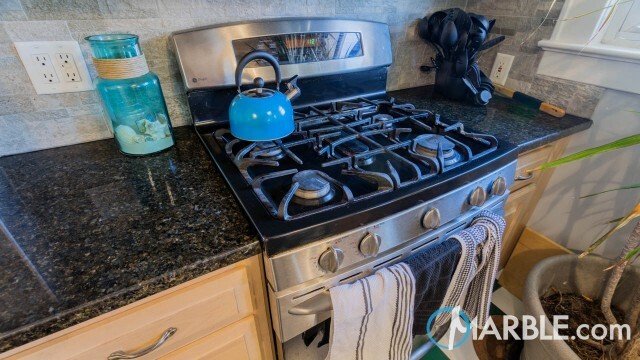 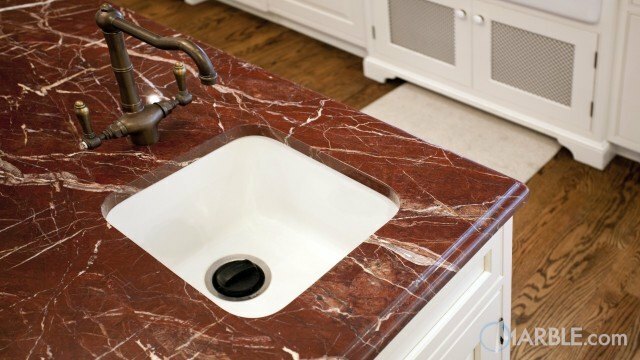 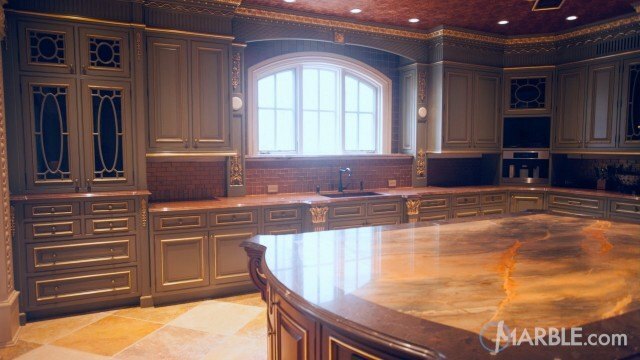 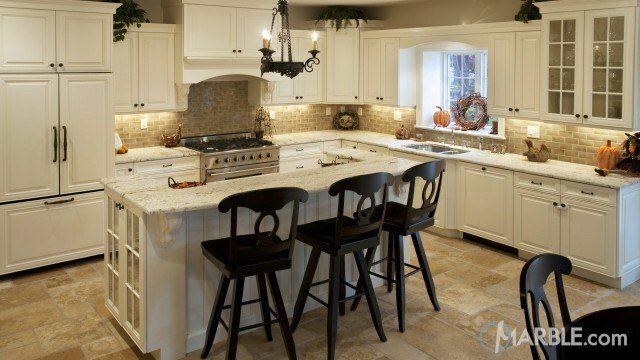 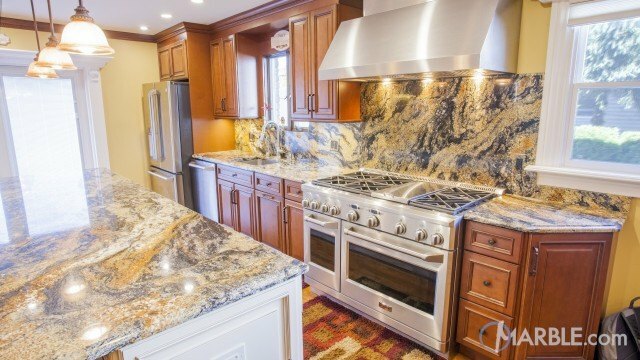 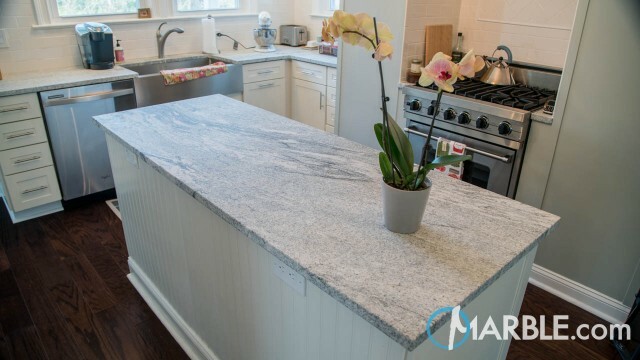 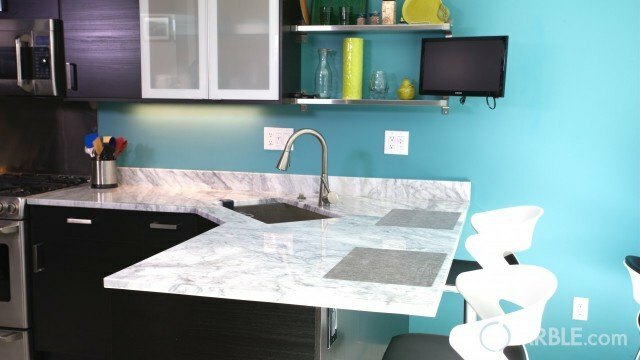 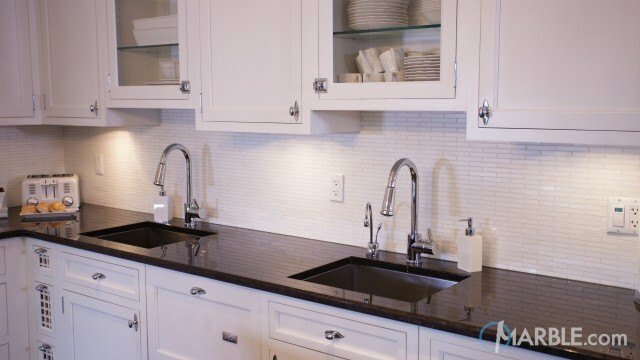 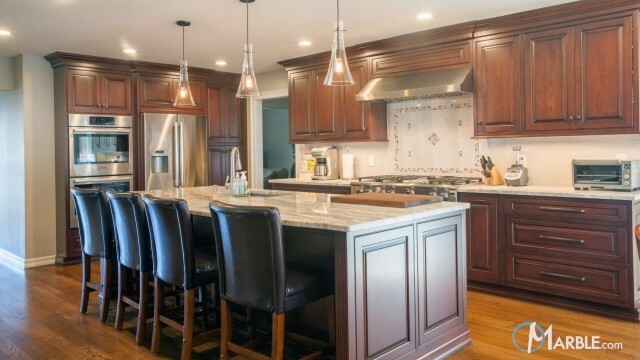 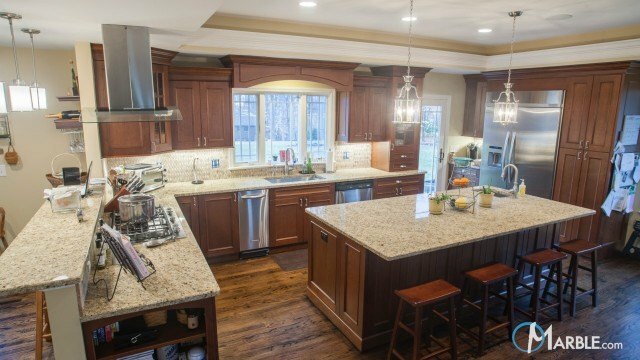 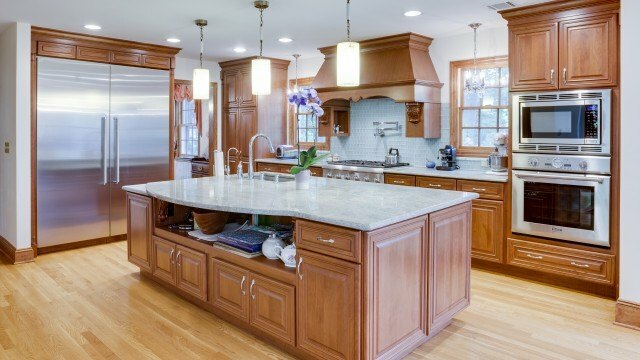 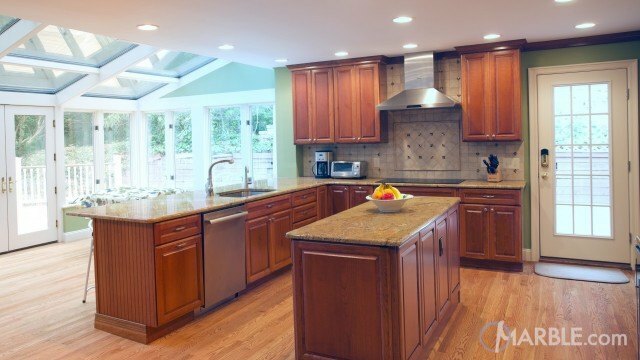 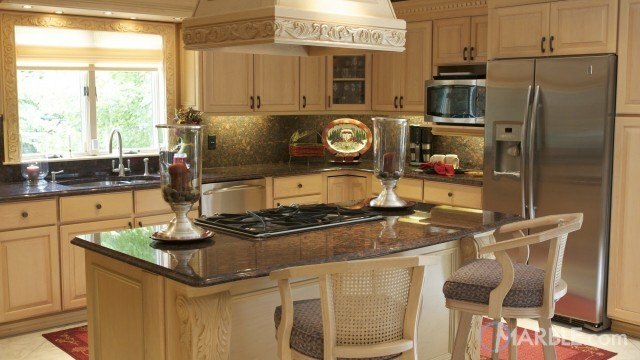 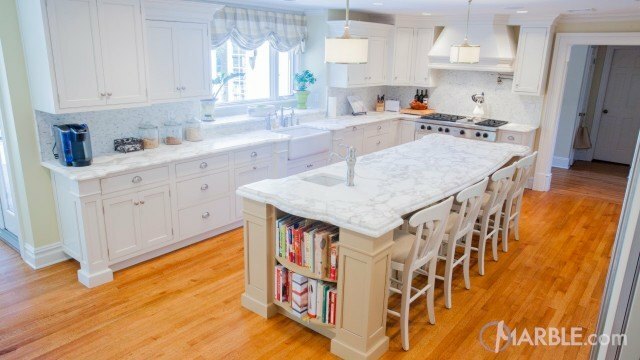 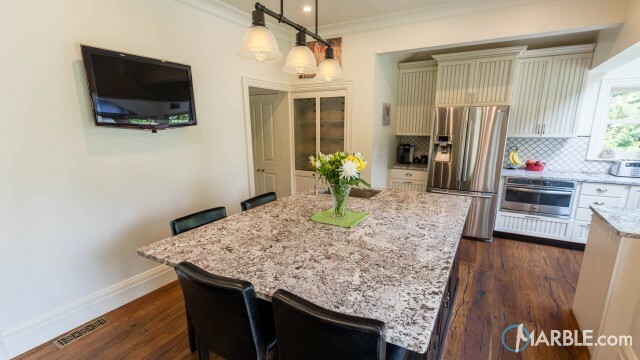 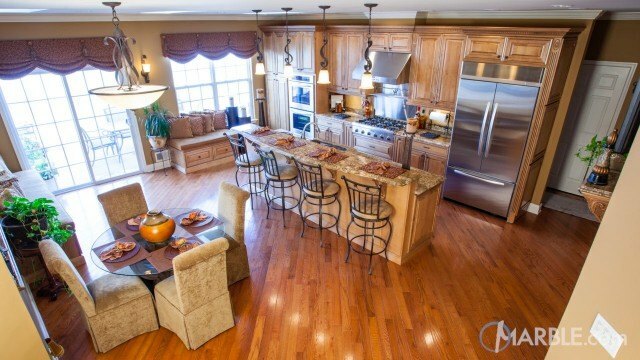 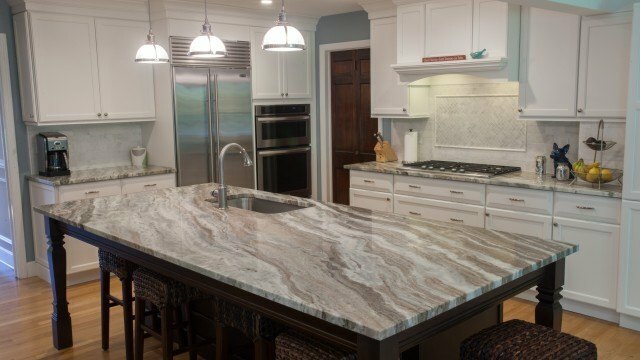 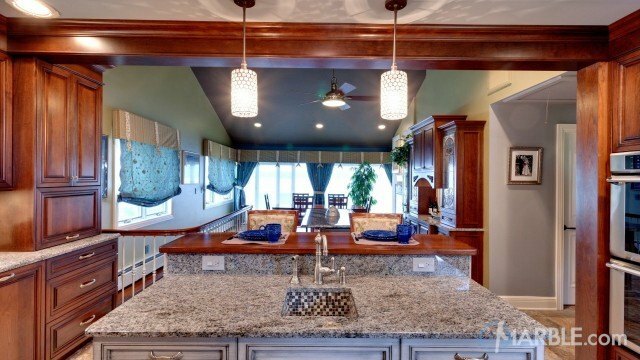 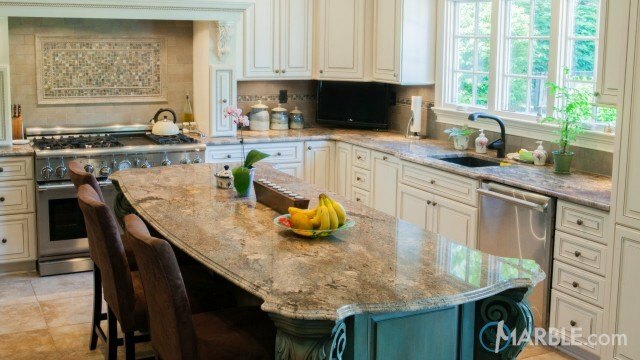 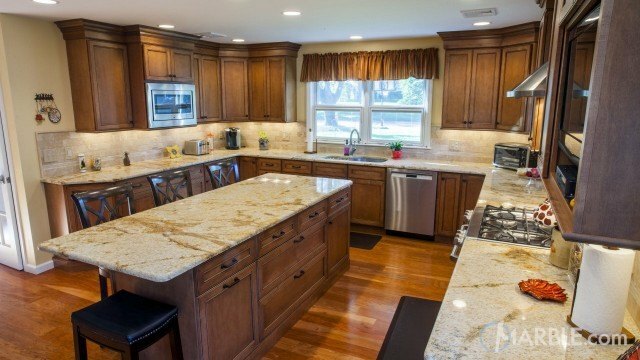 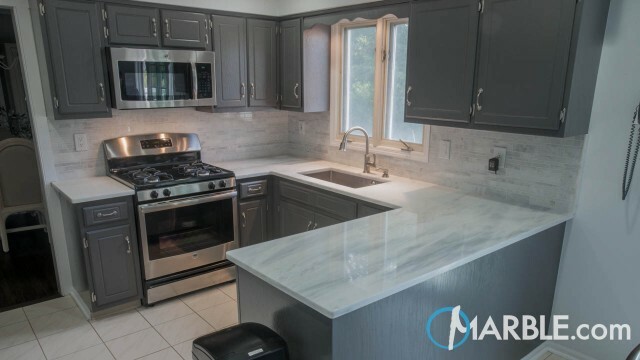 Having two islands is a unique design idea that allows the homeowner to have multiple prep stations when cooking and eating. 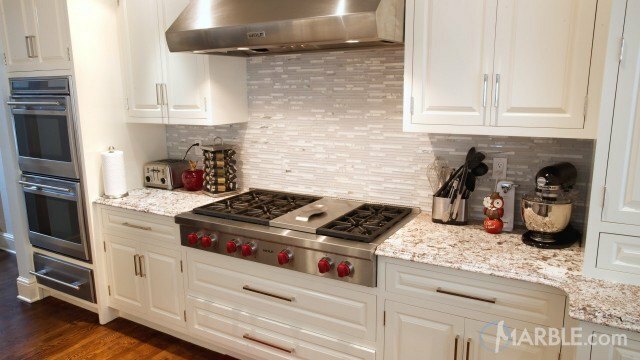 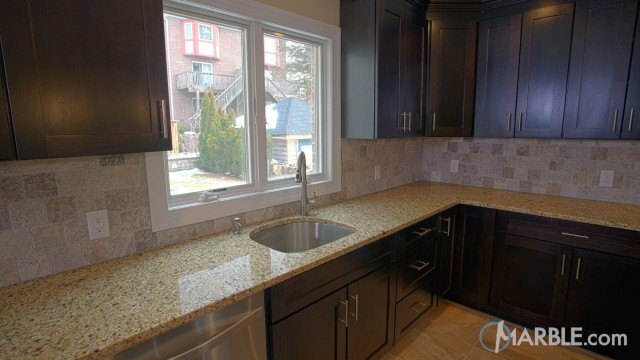 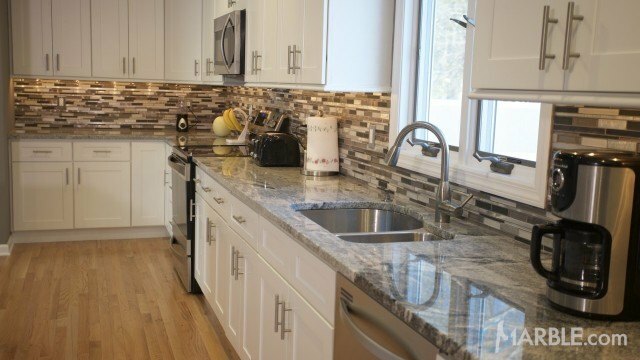 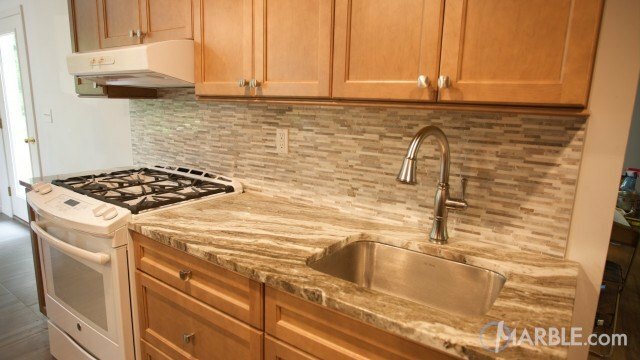 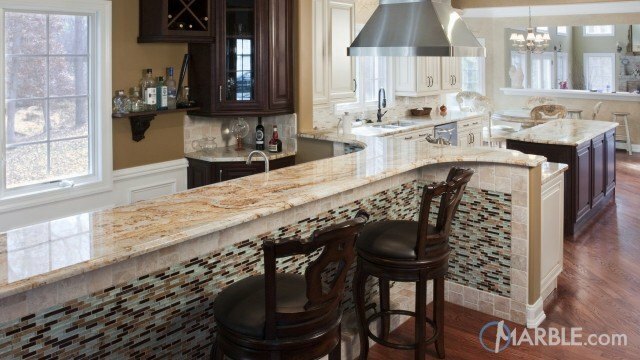 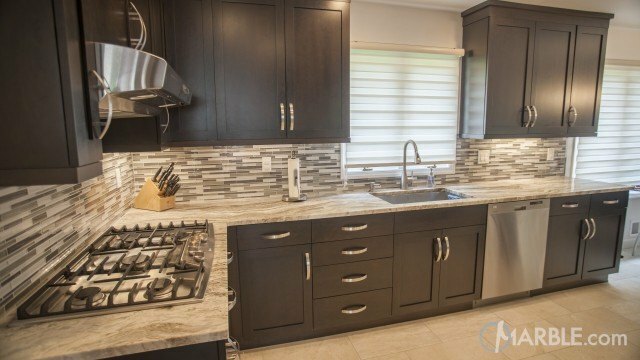 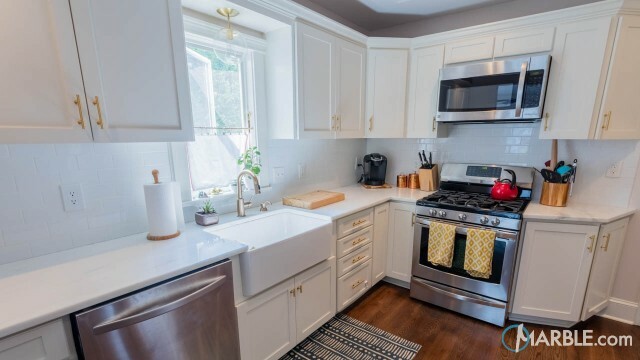 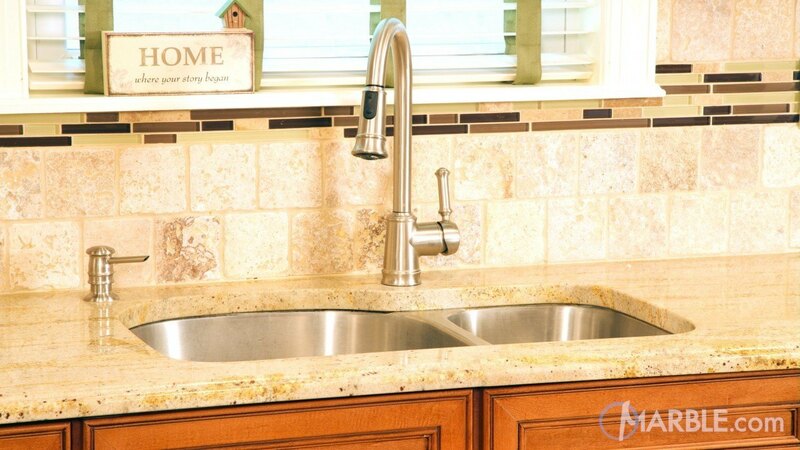 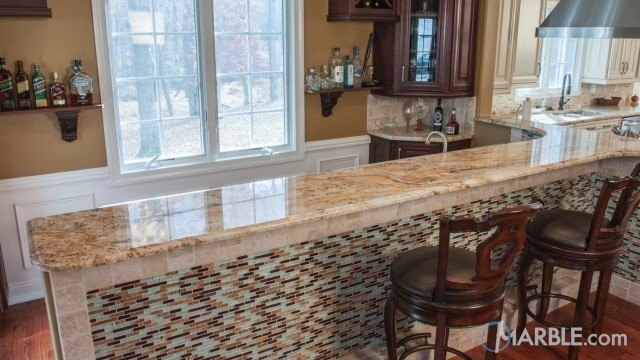 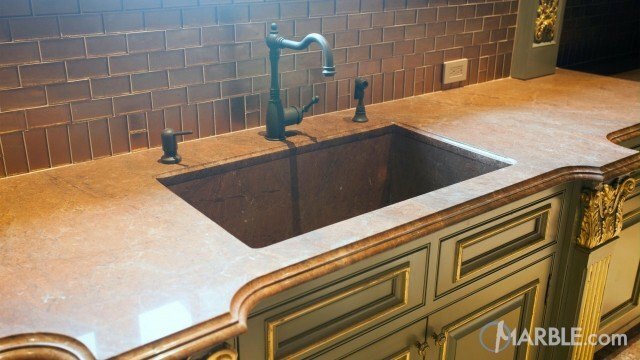 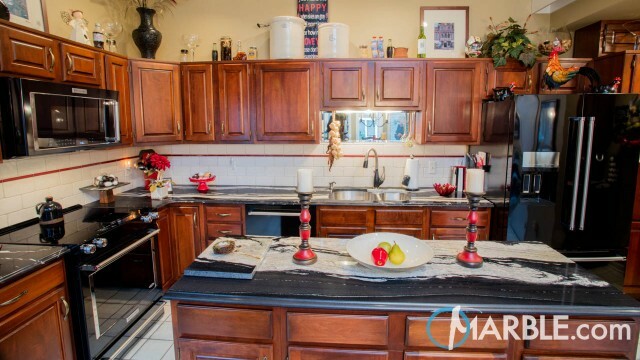 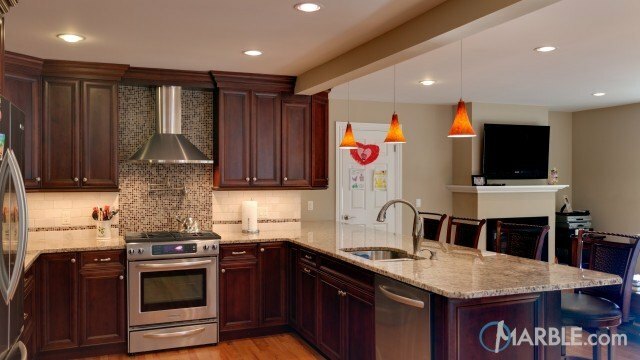 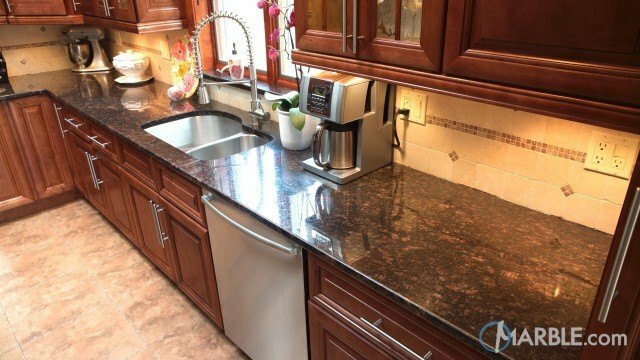 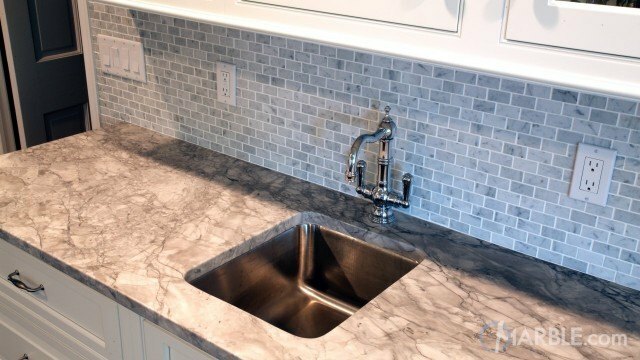 The tiled back splash works well with the counter tops that feature an Ogee Edge.